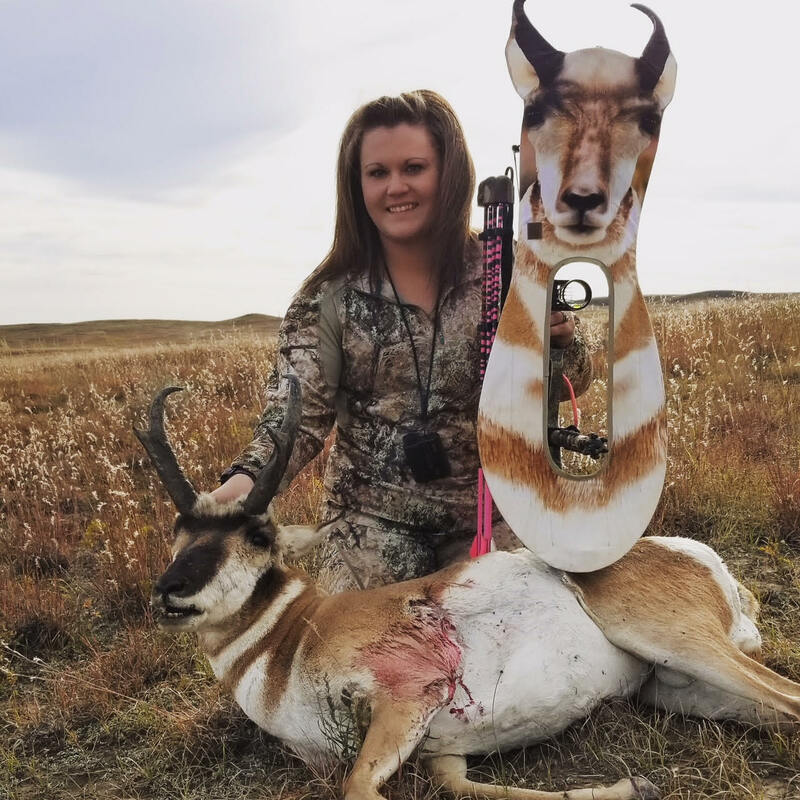 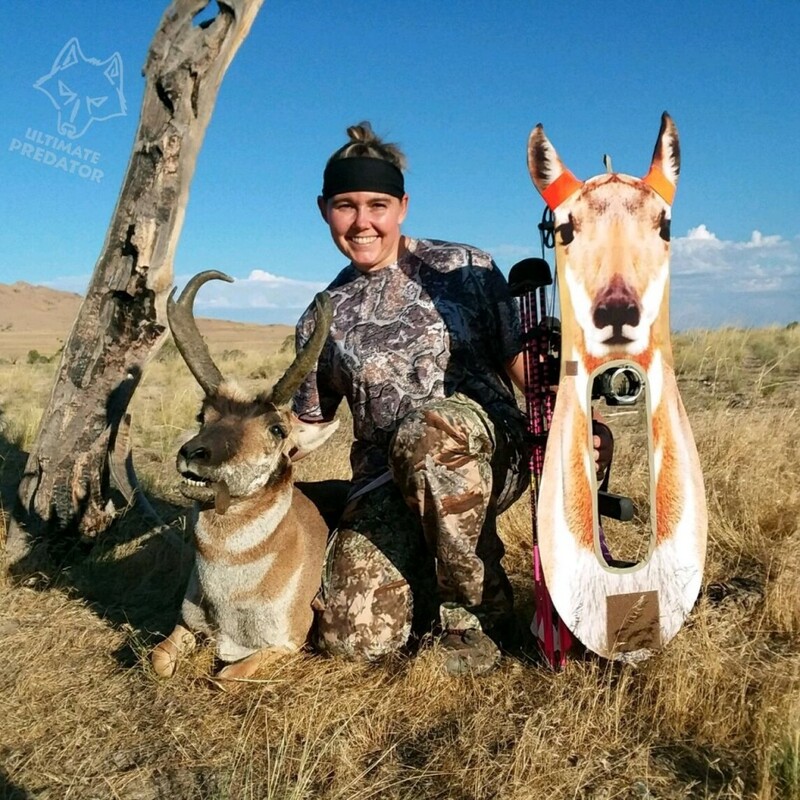 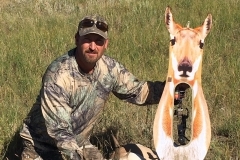 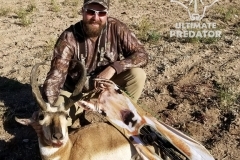 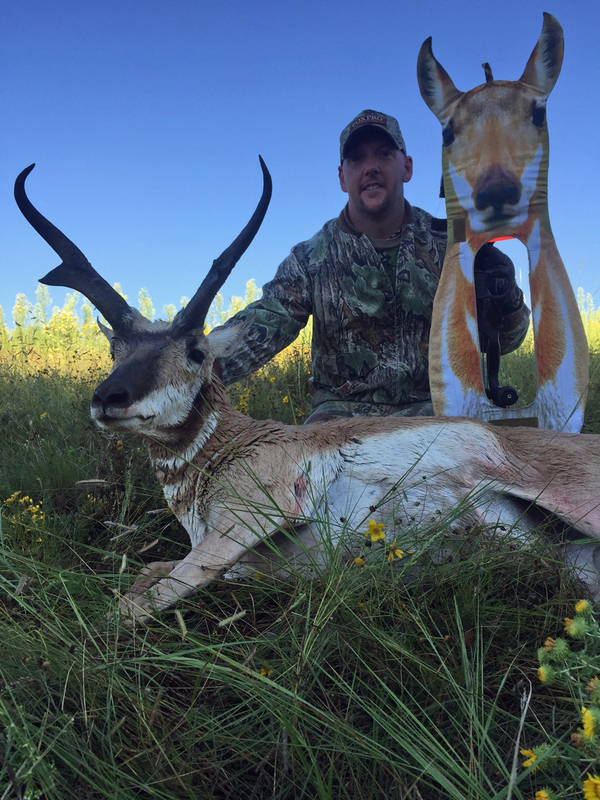 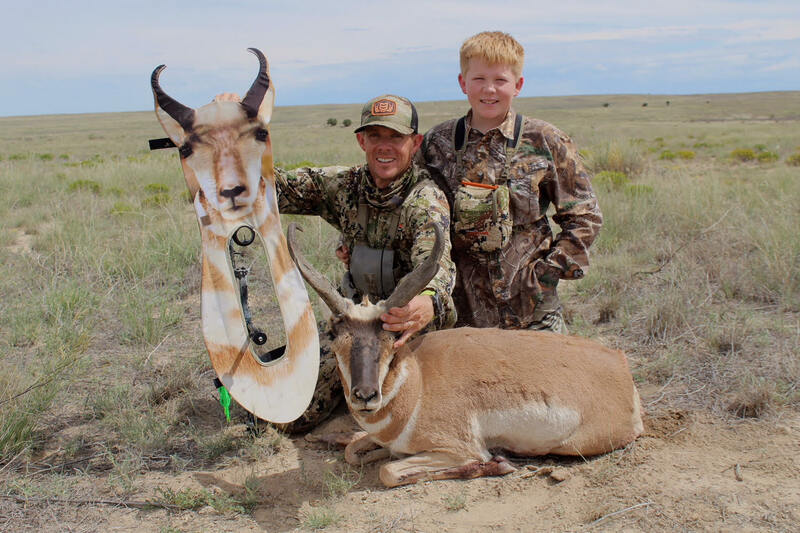 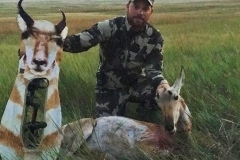 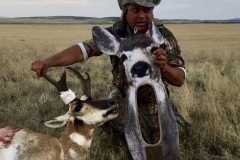 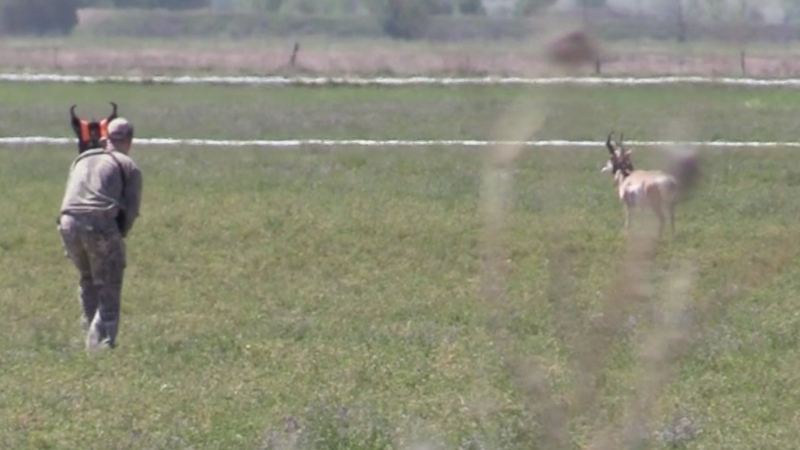 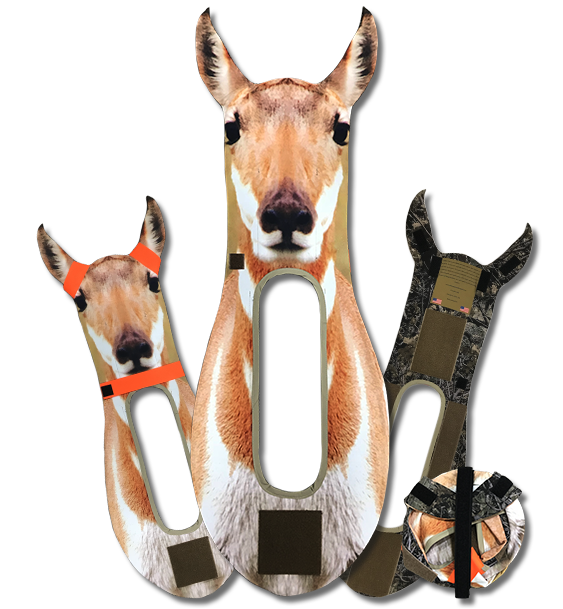 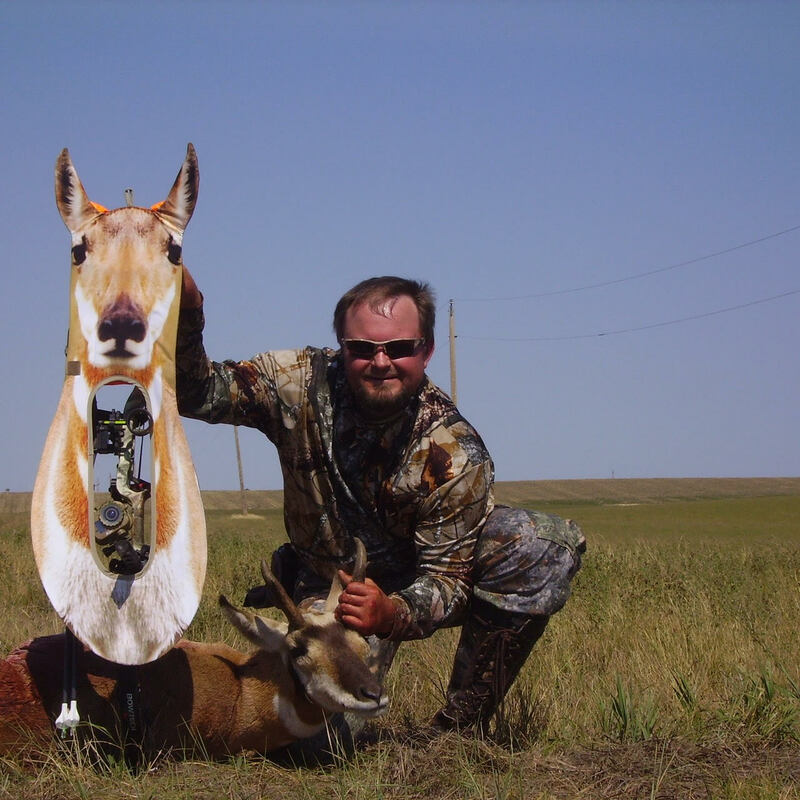 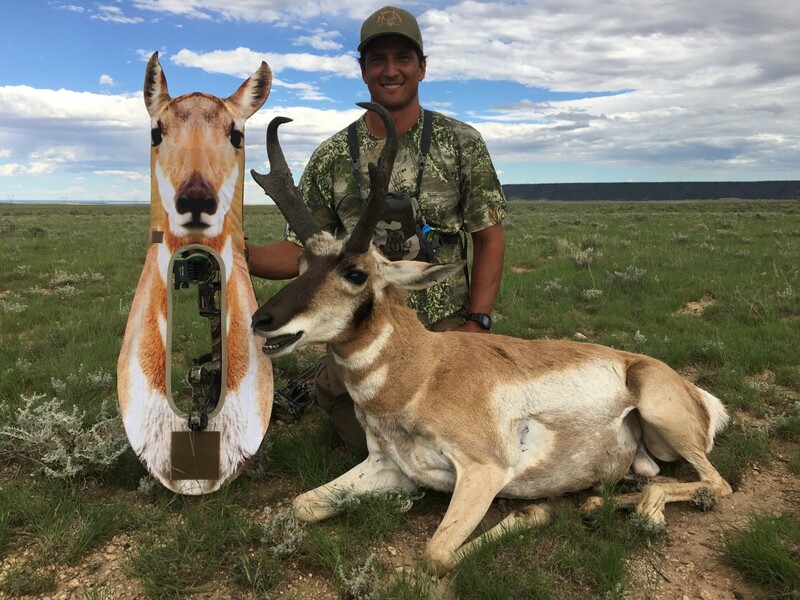 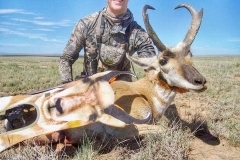 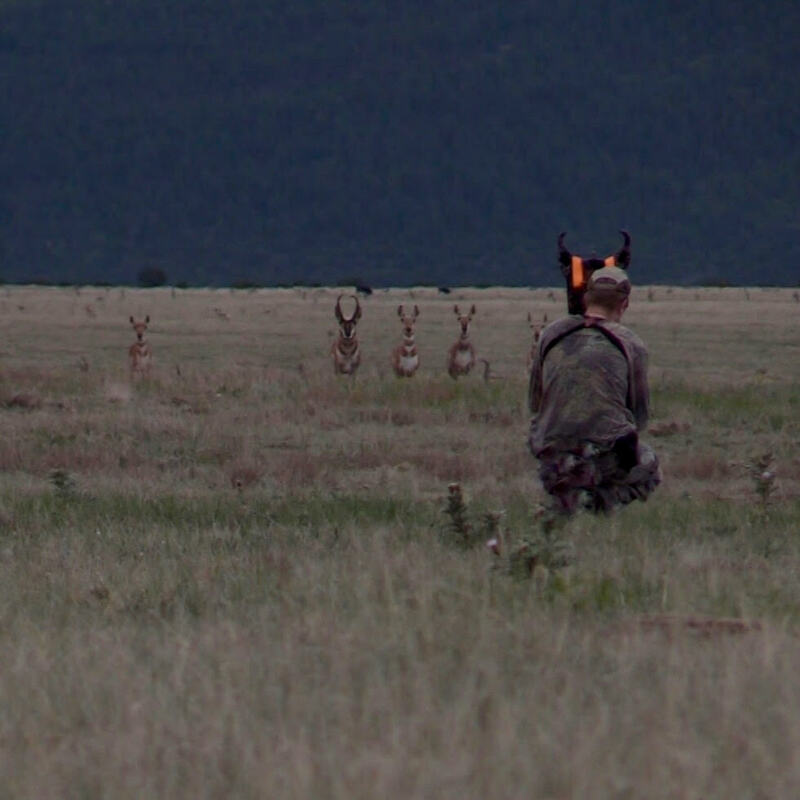 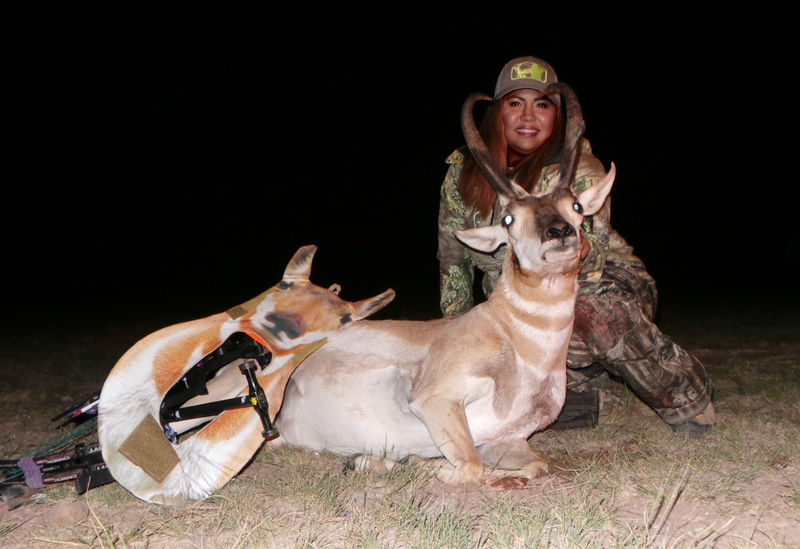 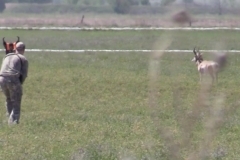 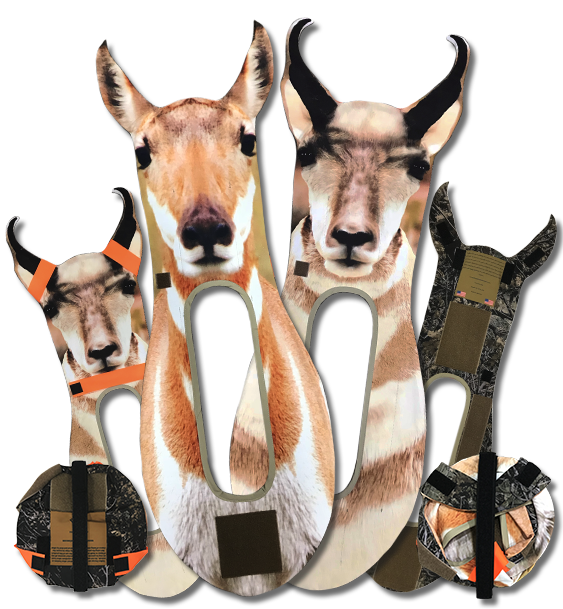 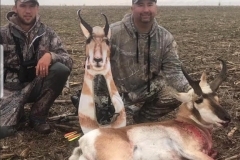 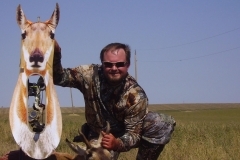 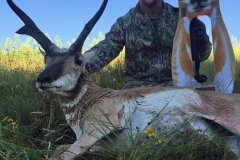 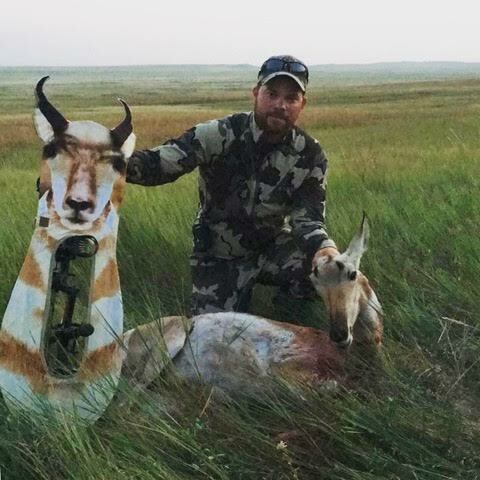 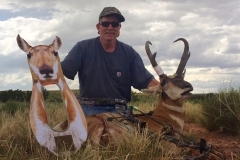 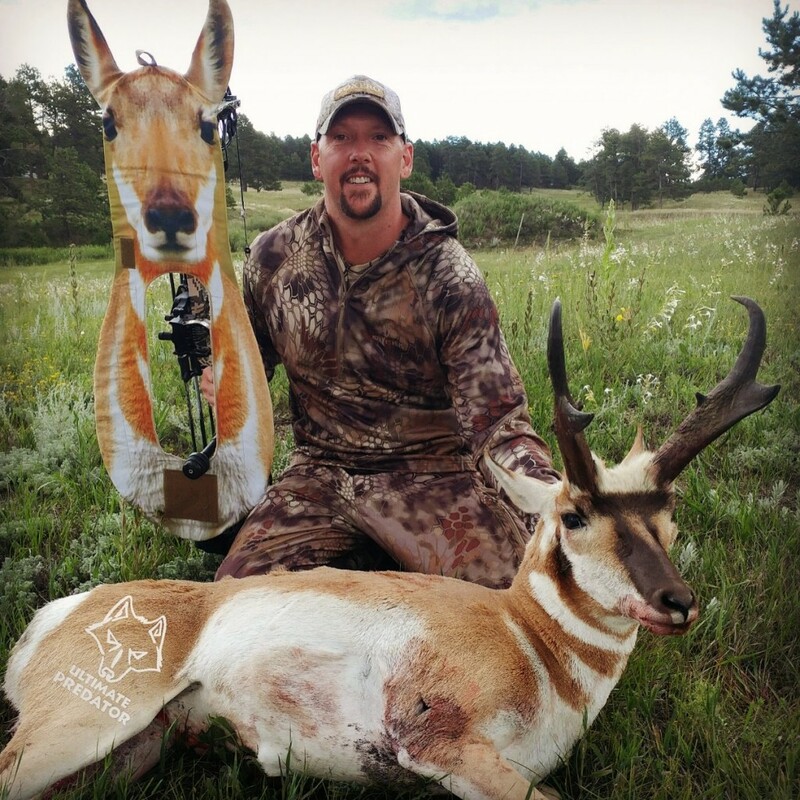 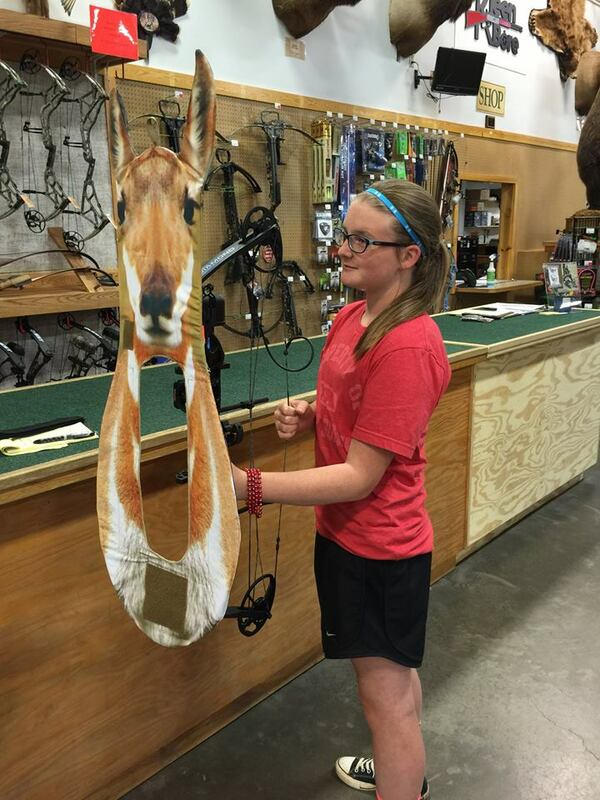 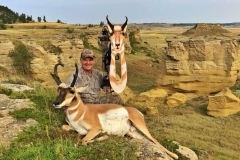 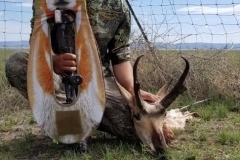 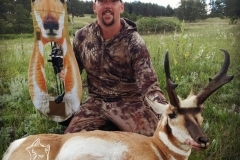 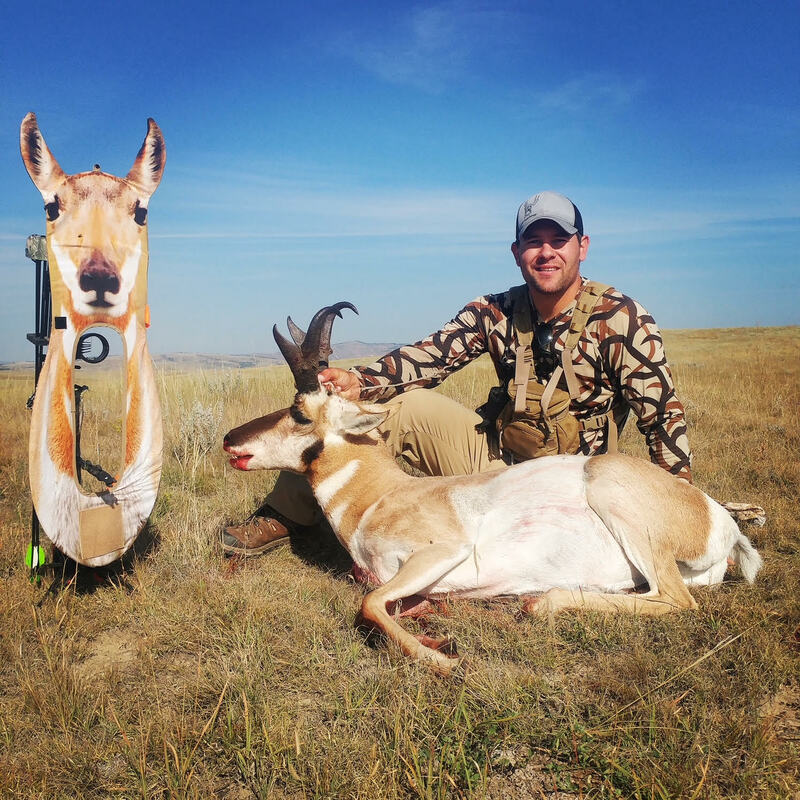 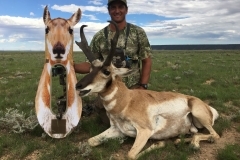 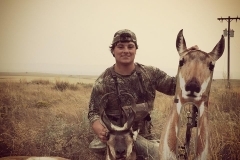 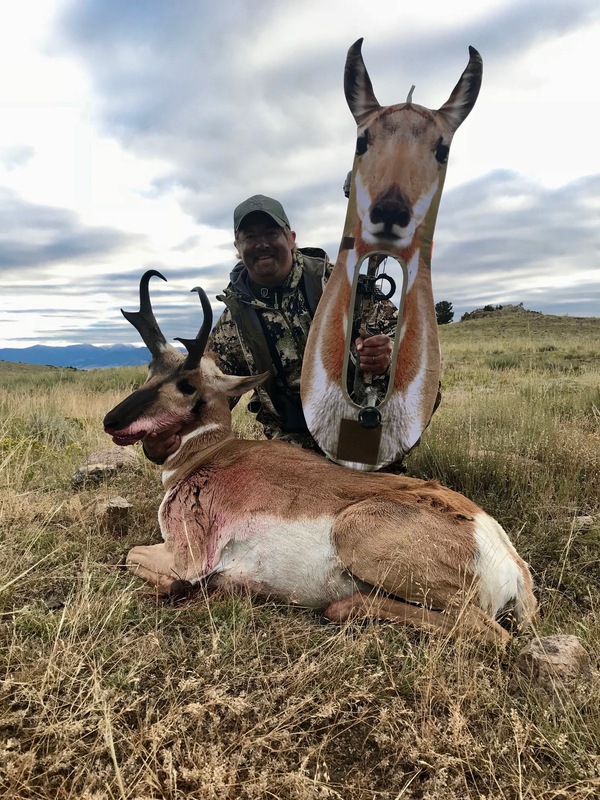 The Pronghorn Decoy weighs in at 8 oz with a collapsed dimension of 9 inches. 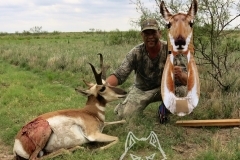 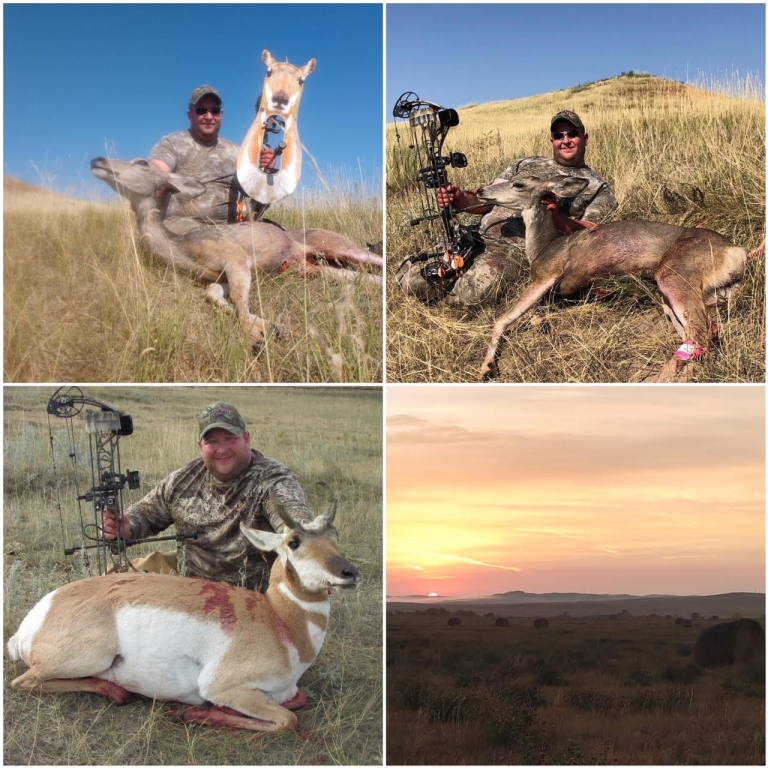 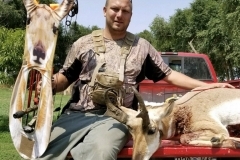 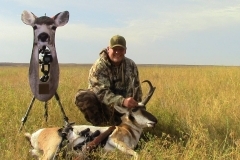 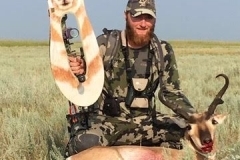 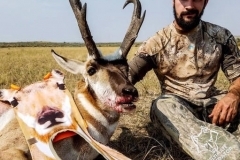 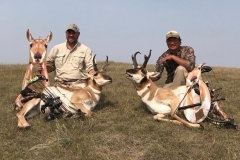 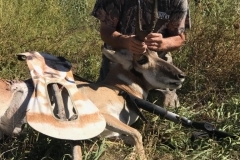 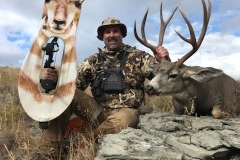 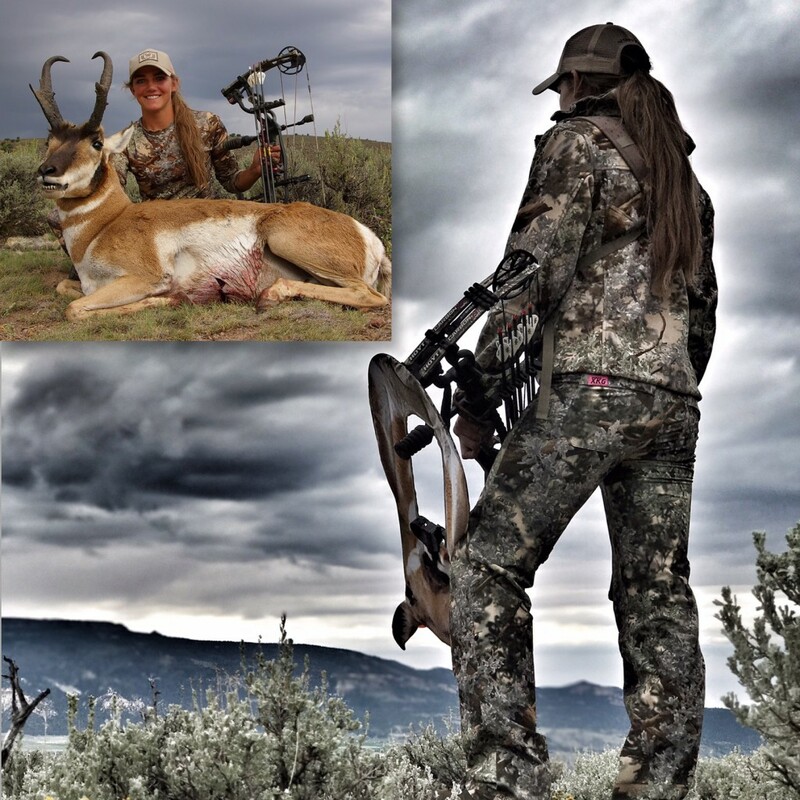 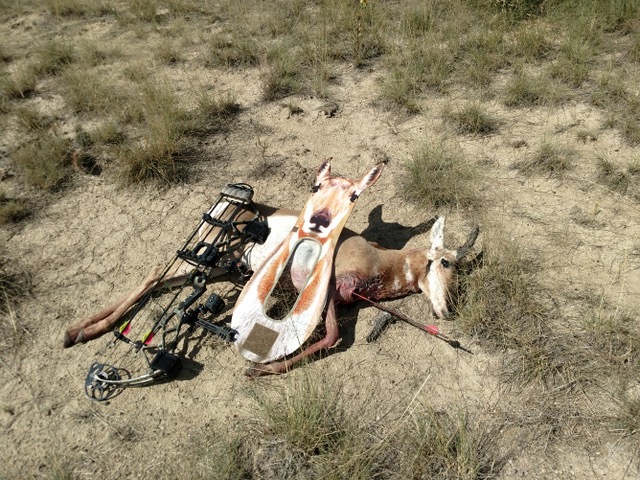 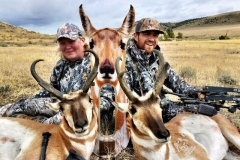 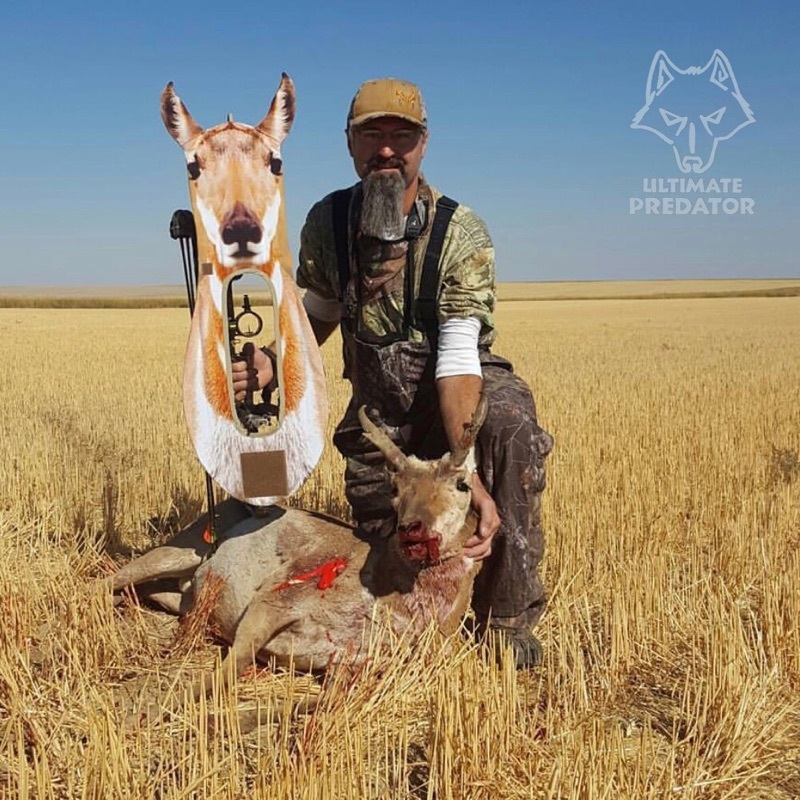 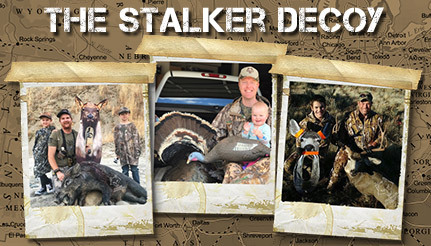 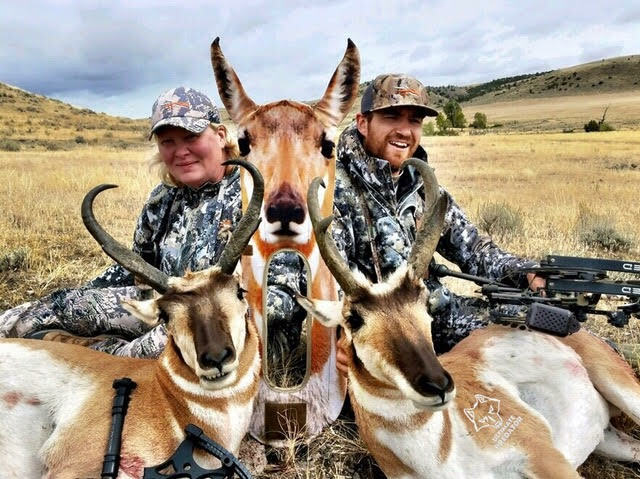 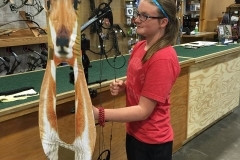 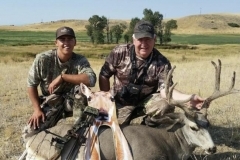 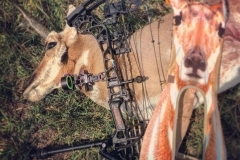 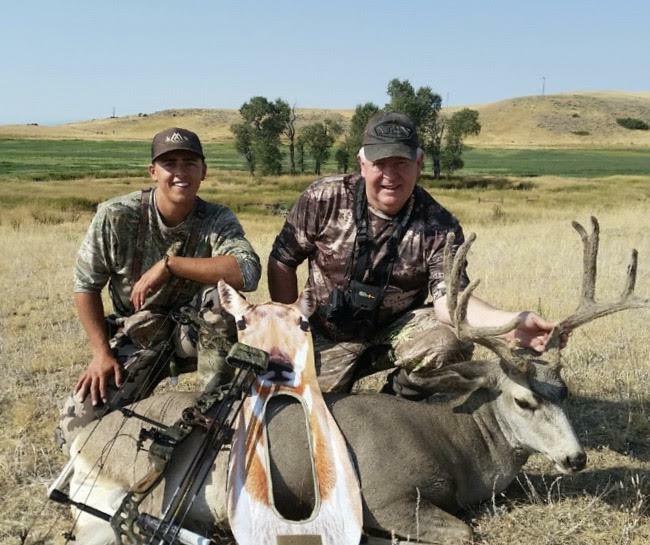 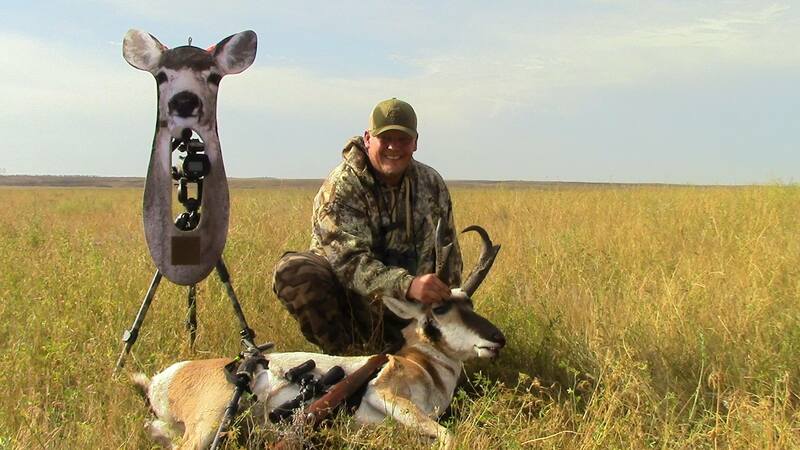 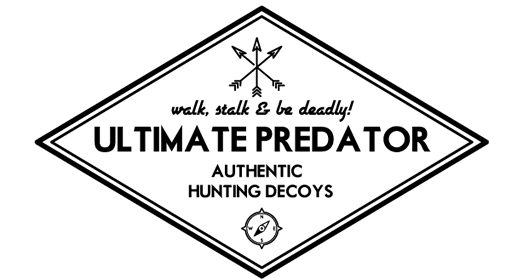 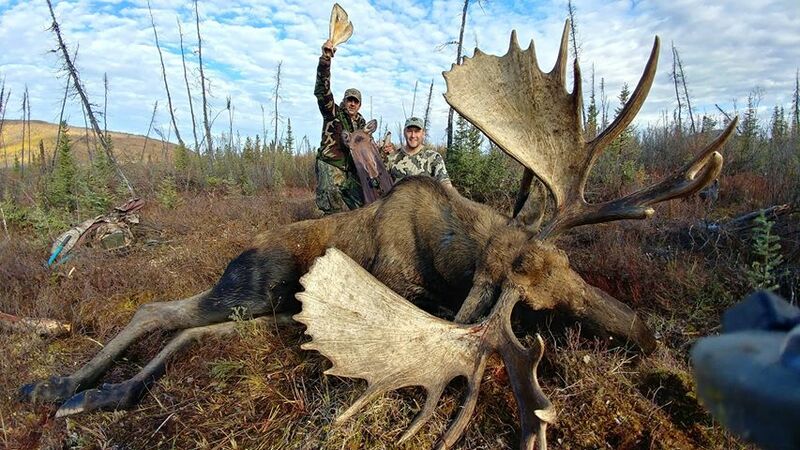 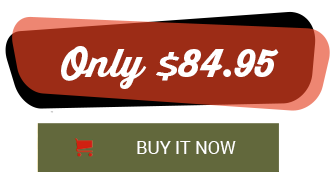 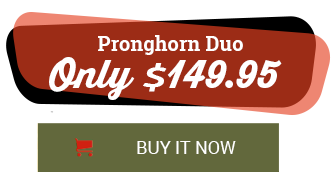 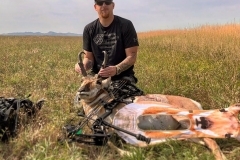 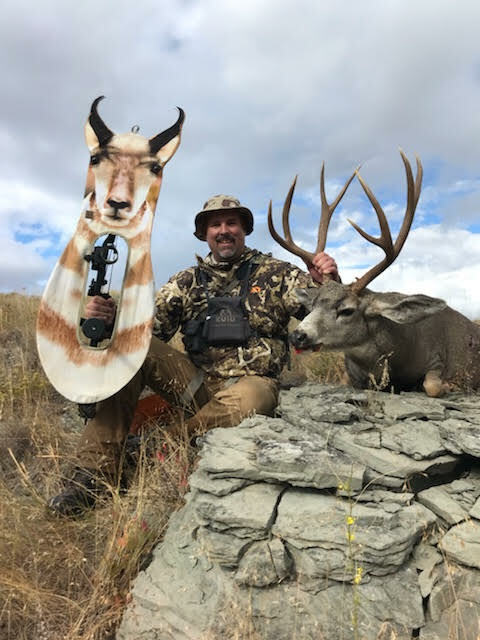 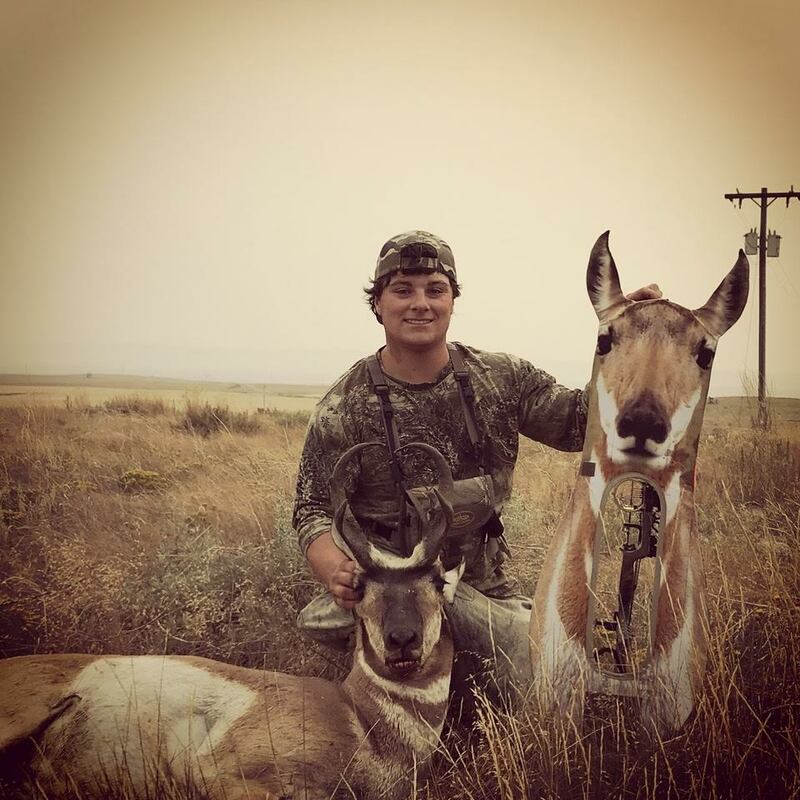 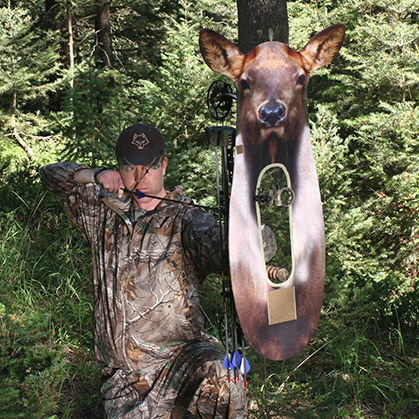 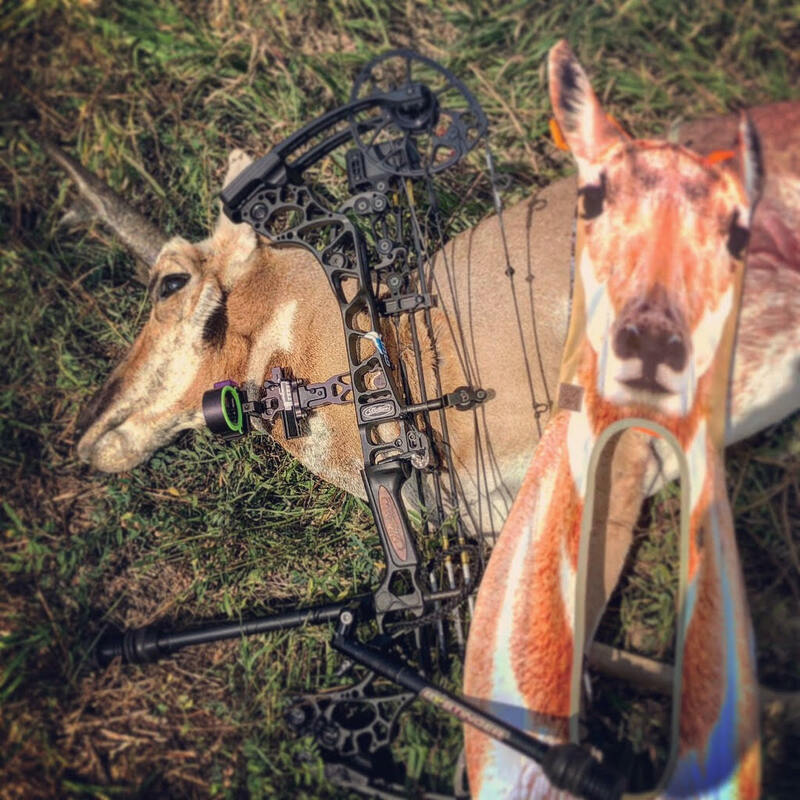 Your products are truly the best out there for archery hunters! 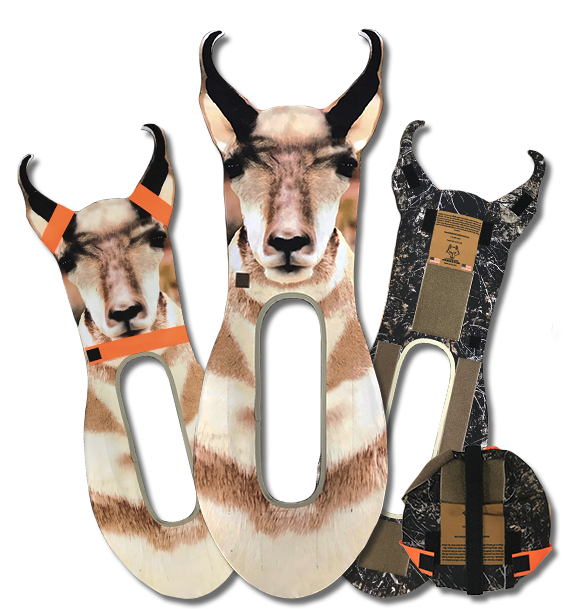 Thank you so much for producing such an awesome product! 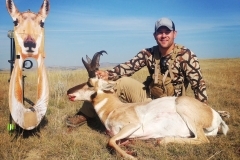 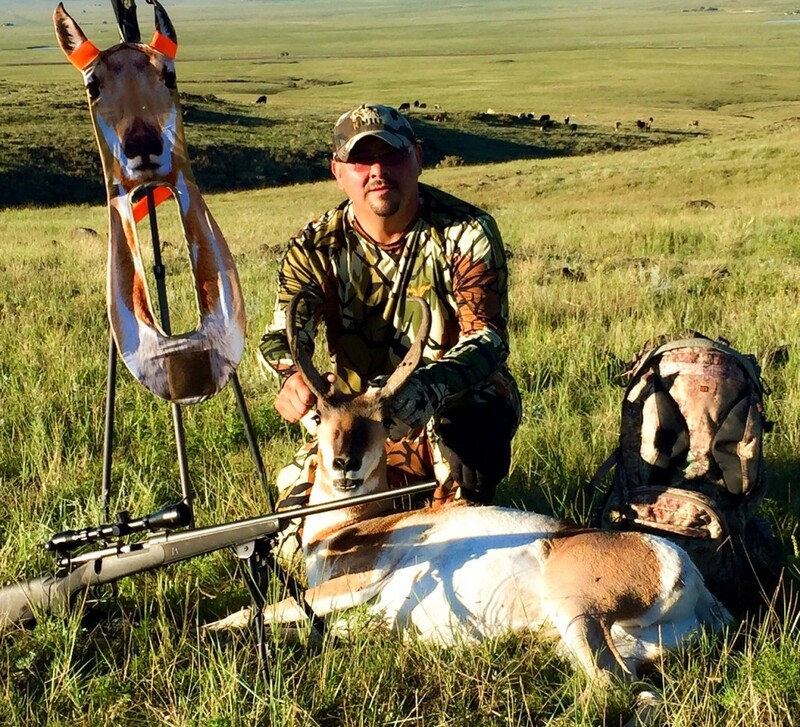 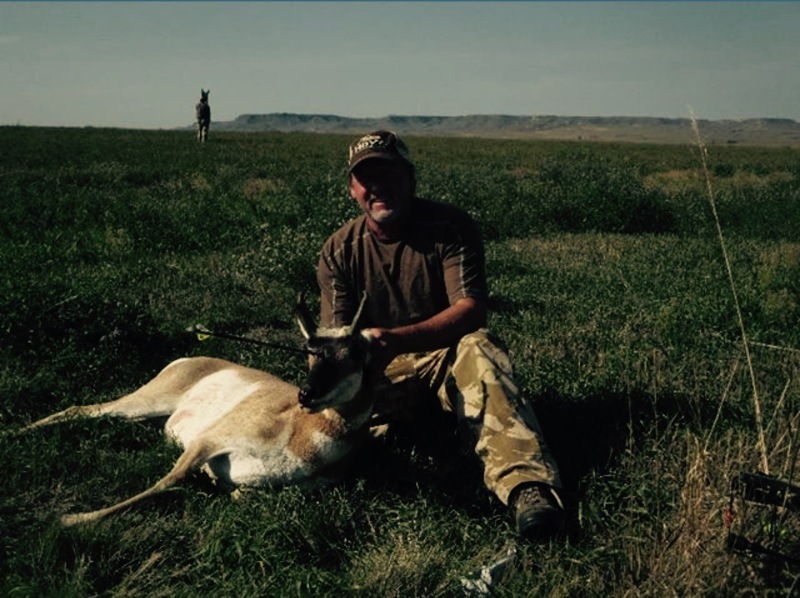 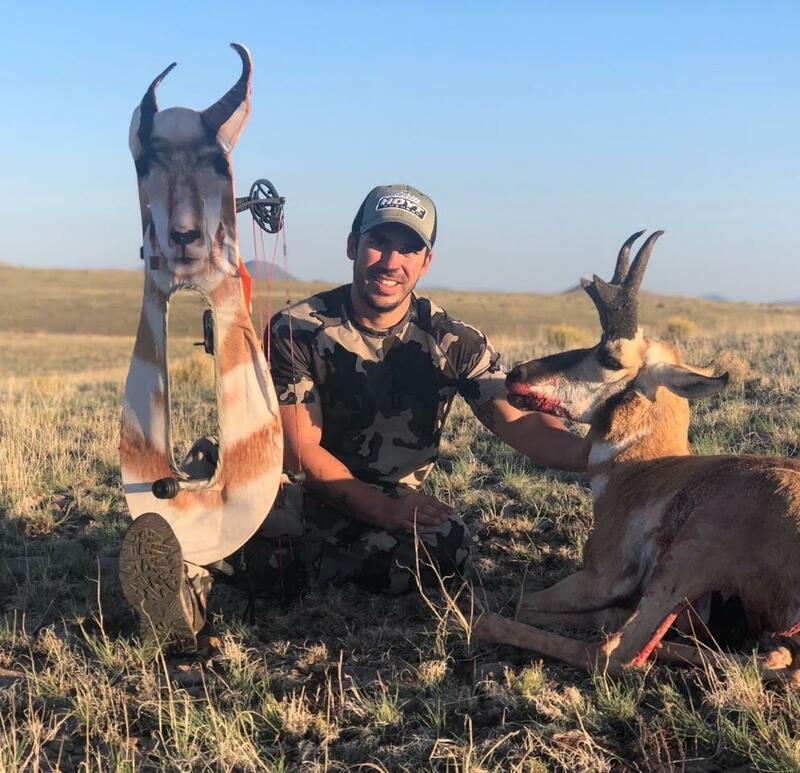 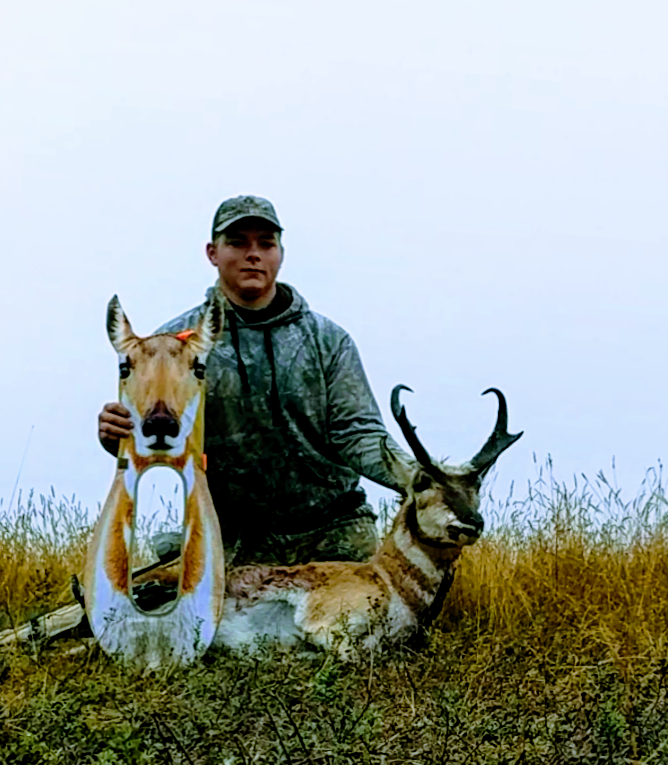 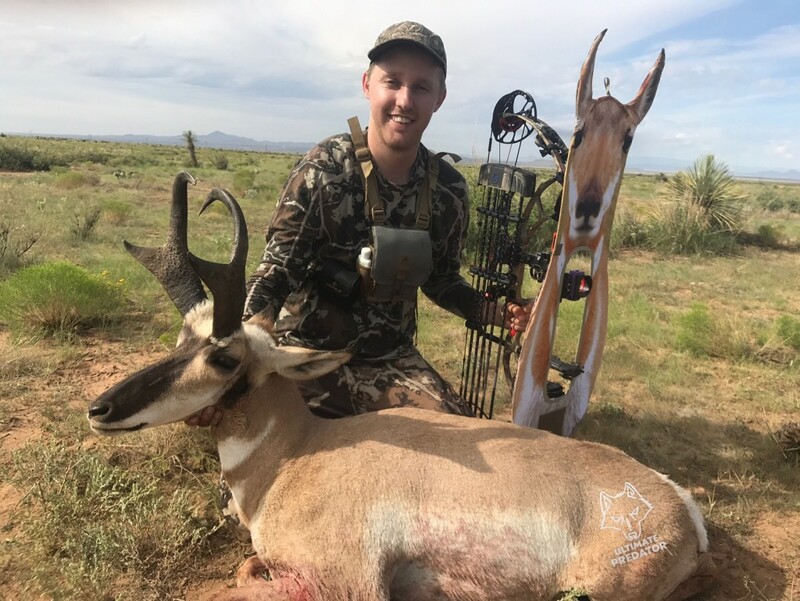 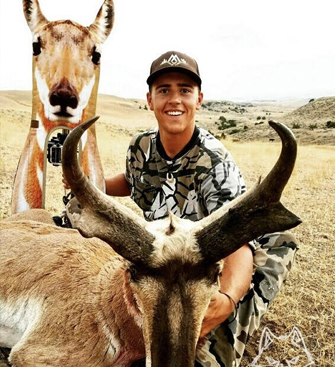 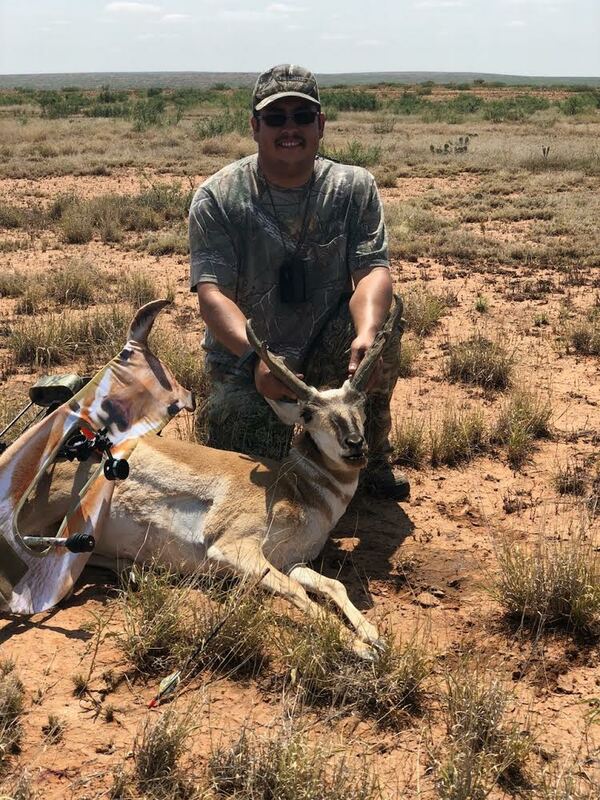 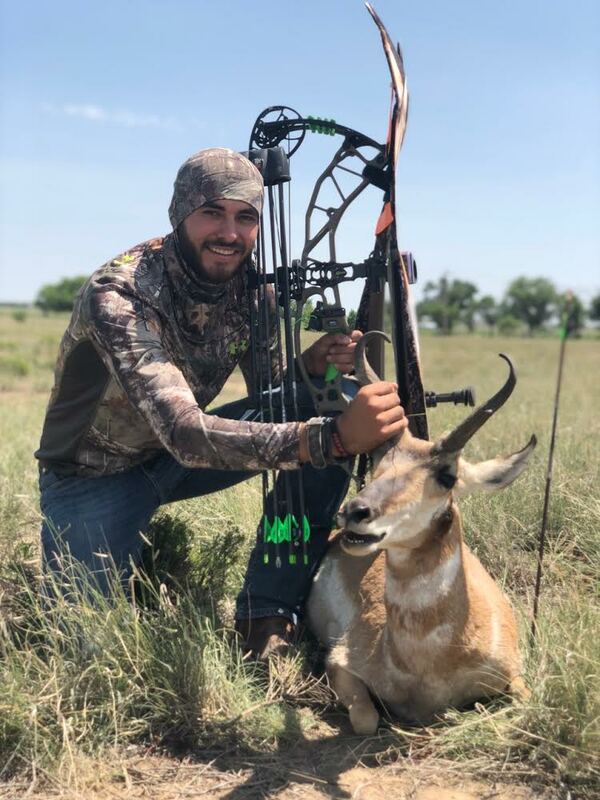 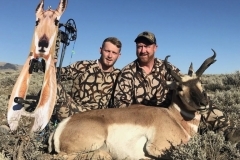 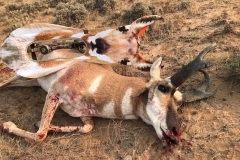 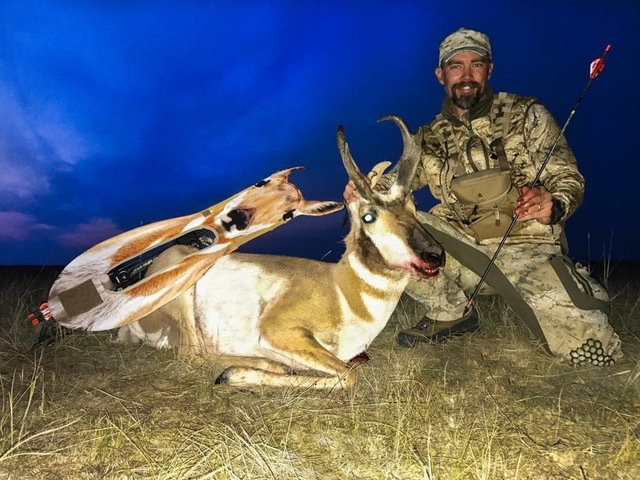 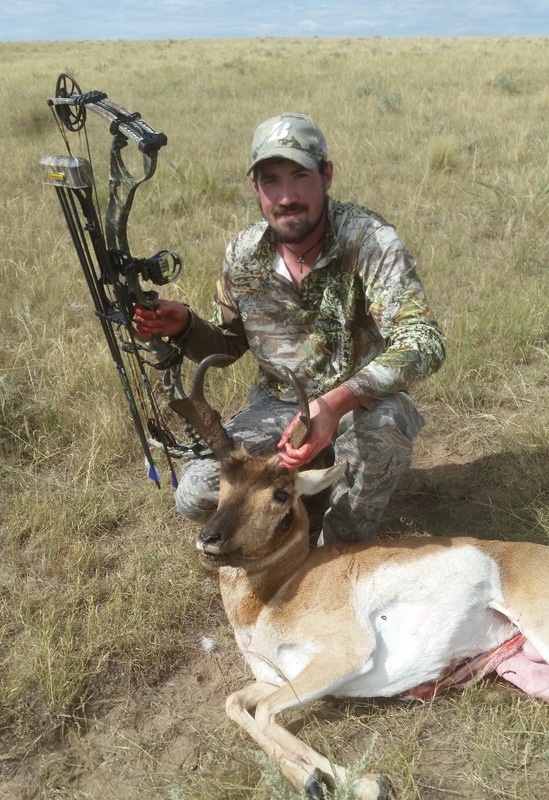 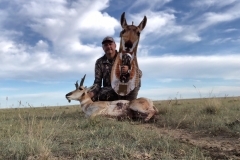 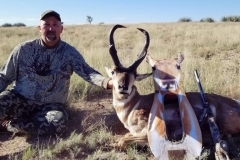 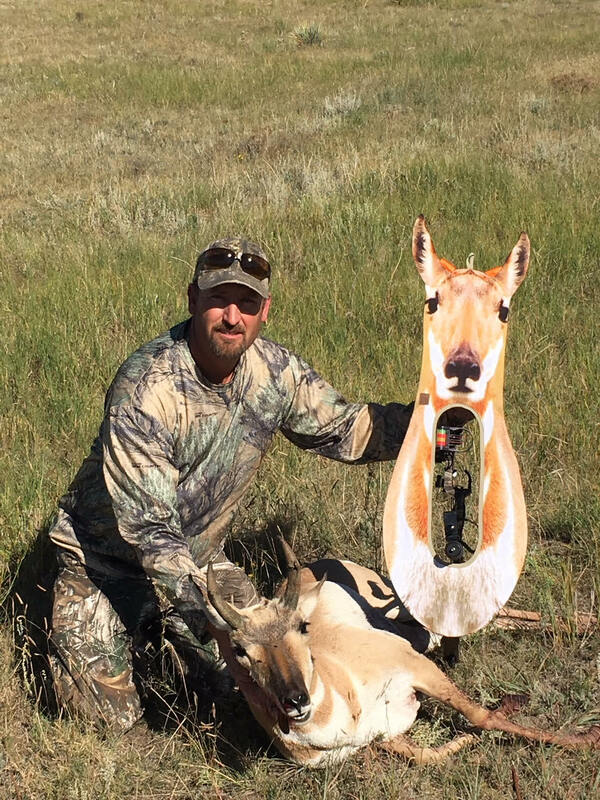 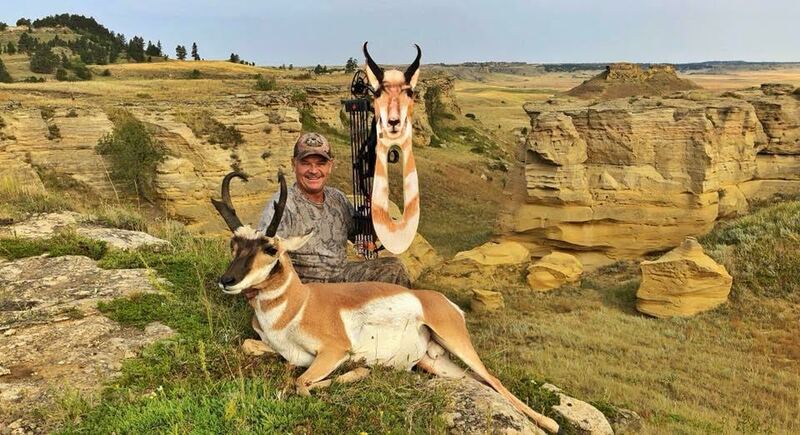 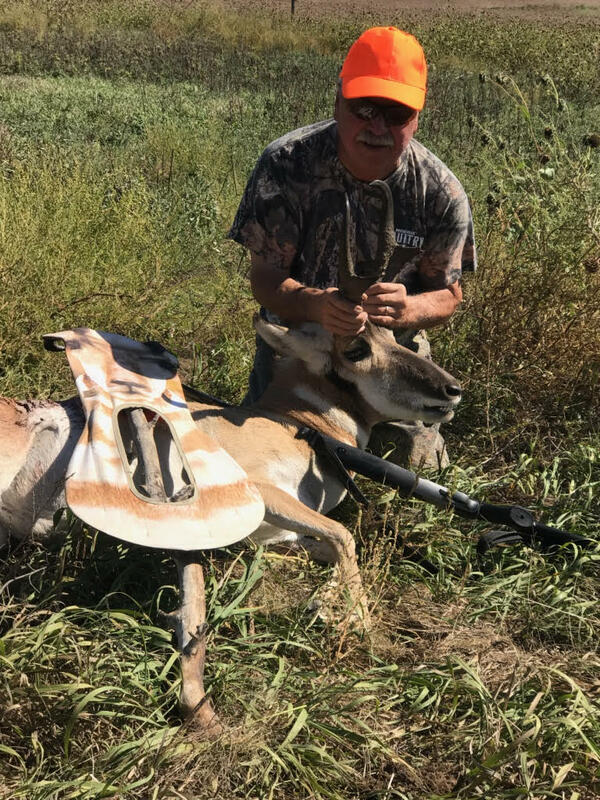 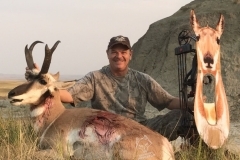 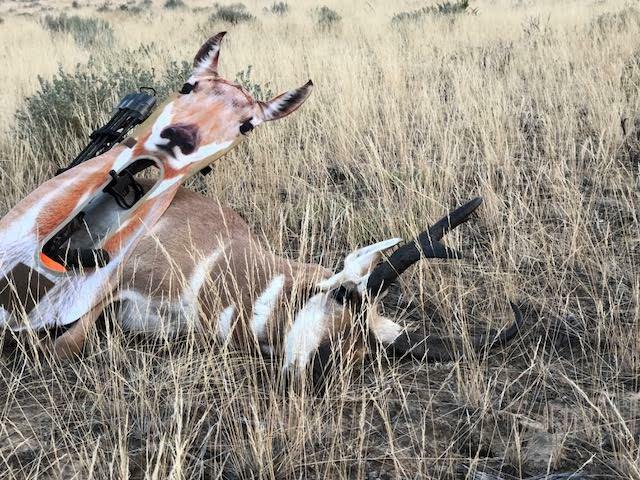 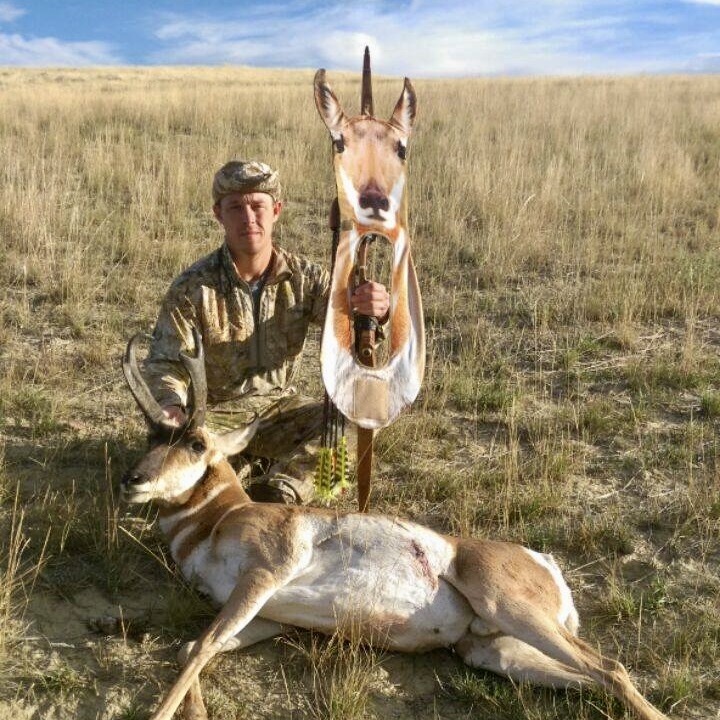 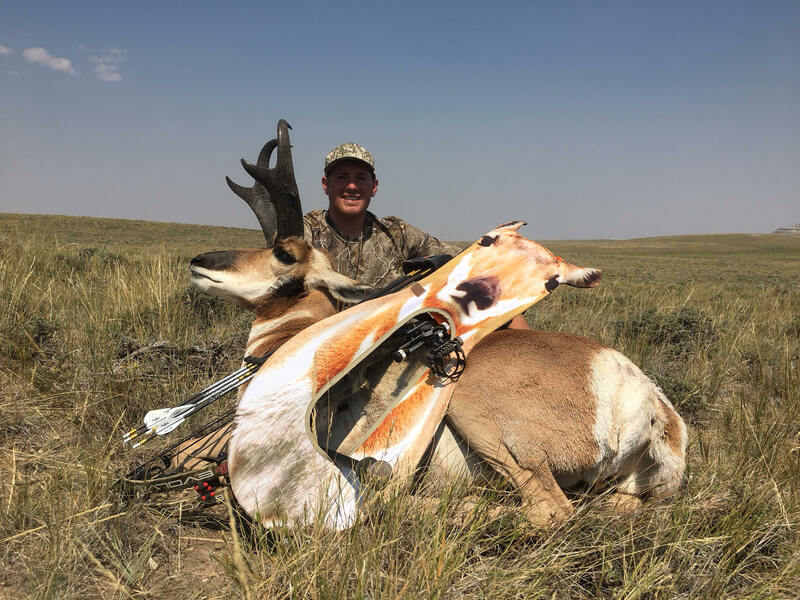 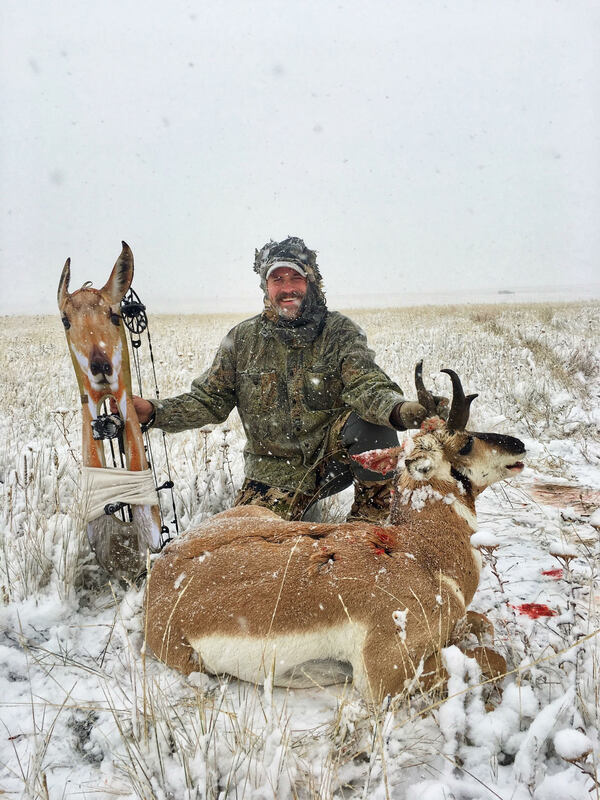 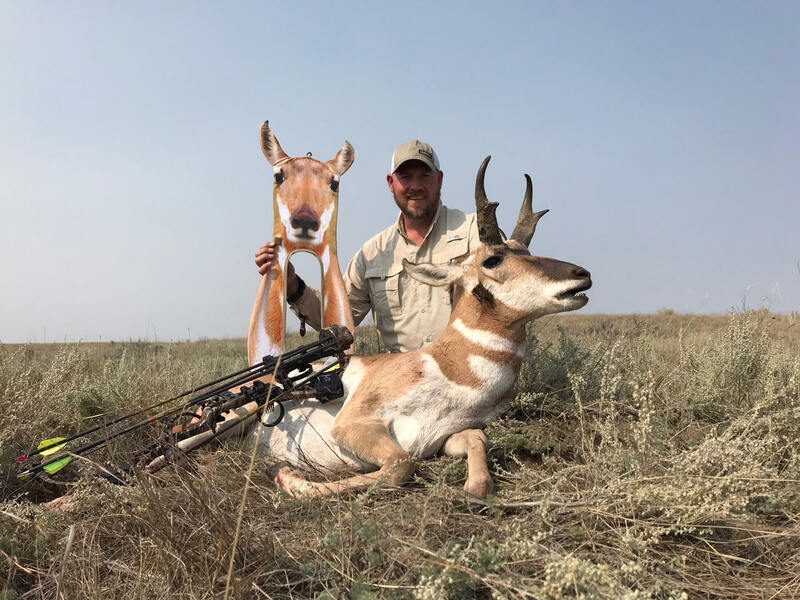 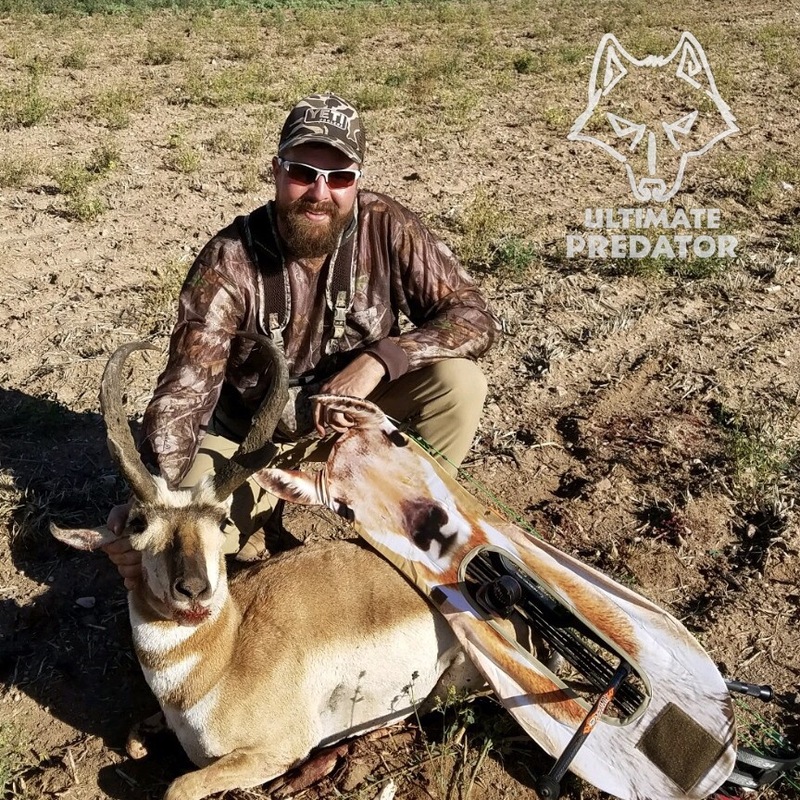 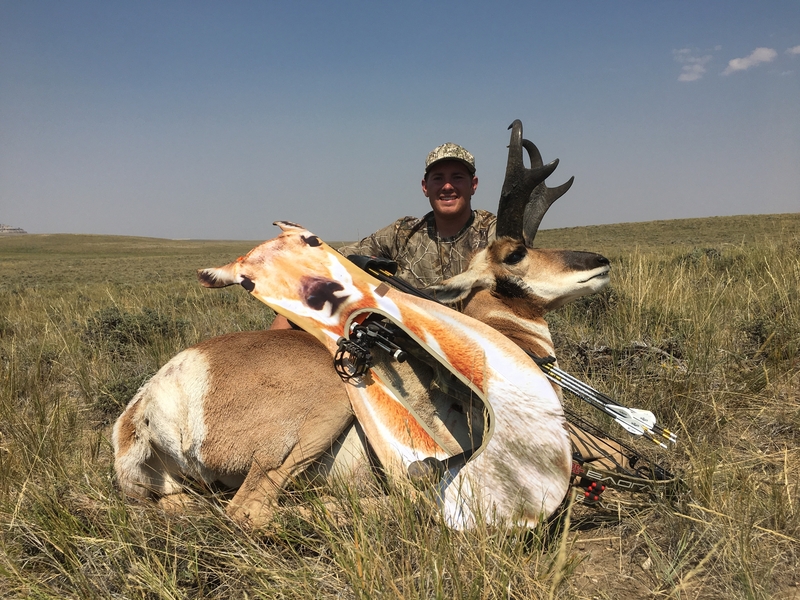 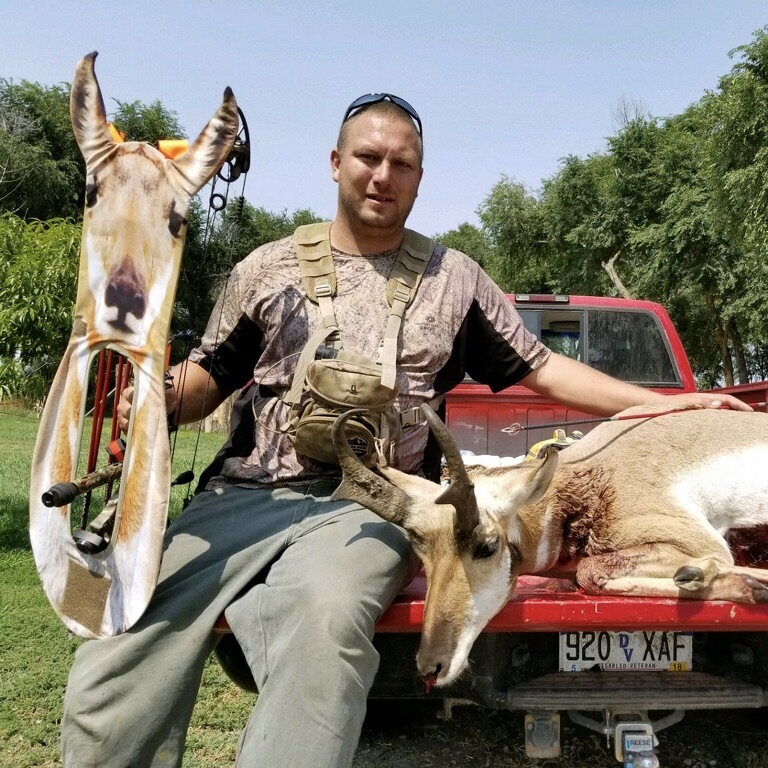 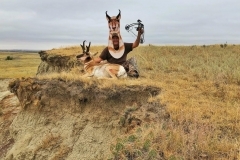 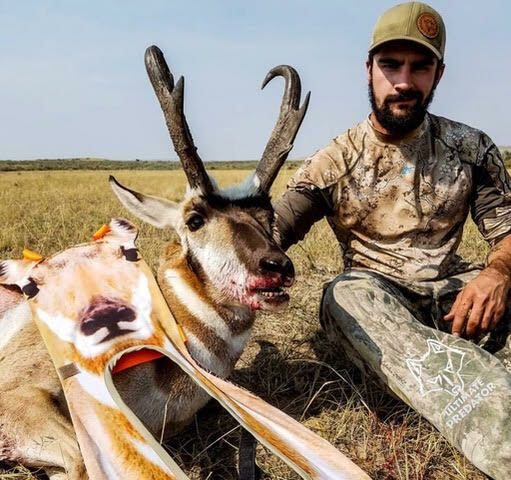 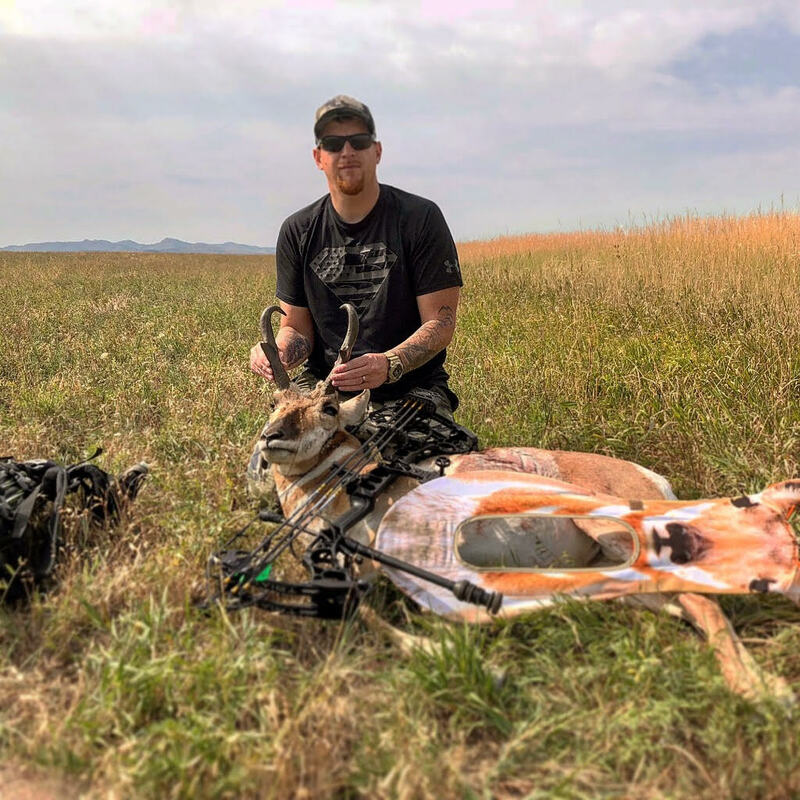 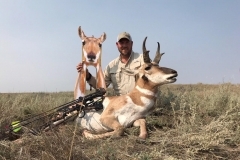 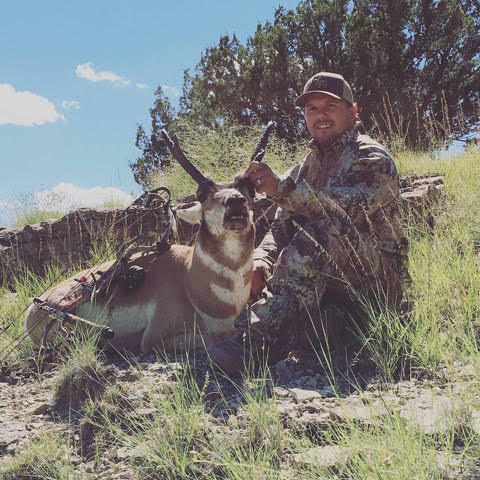 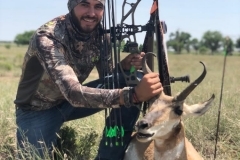 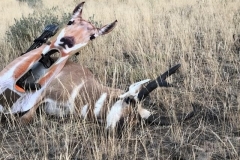 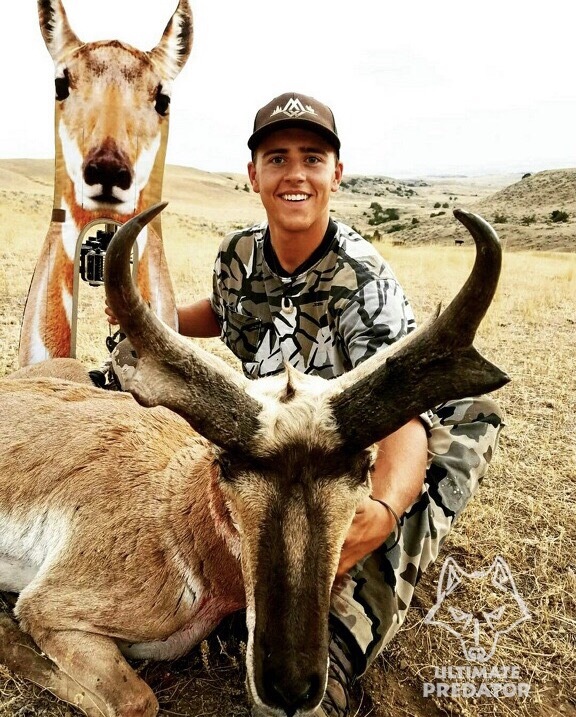 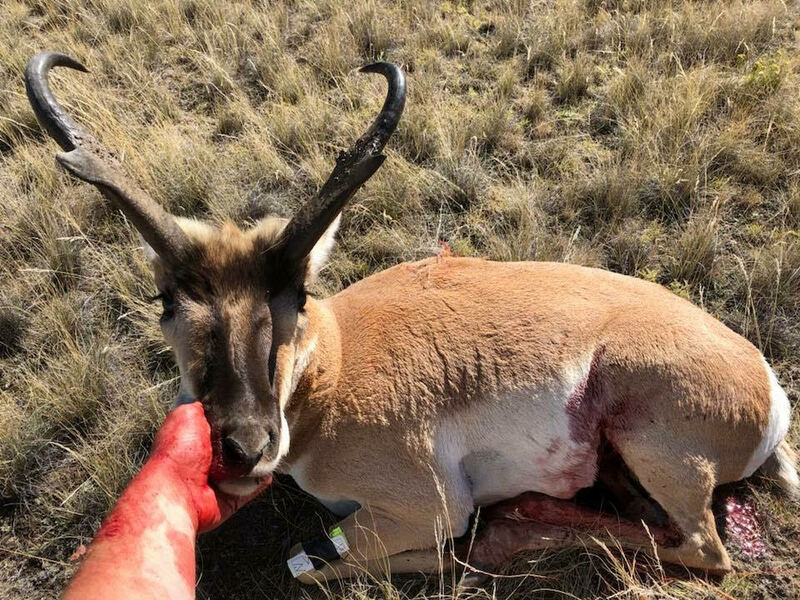 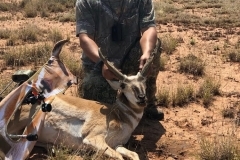 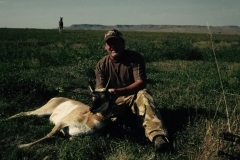 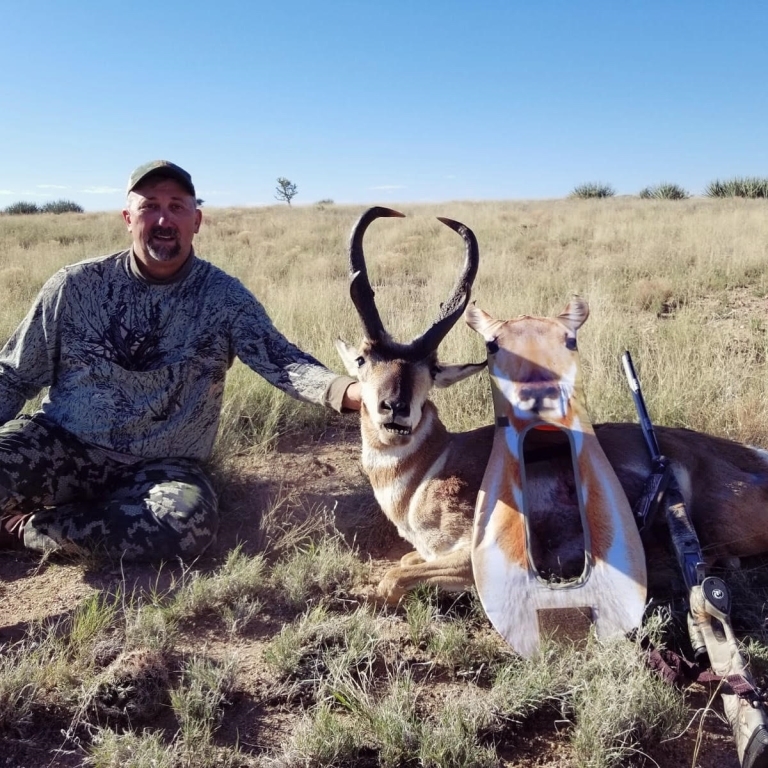 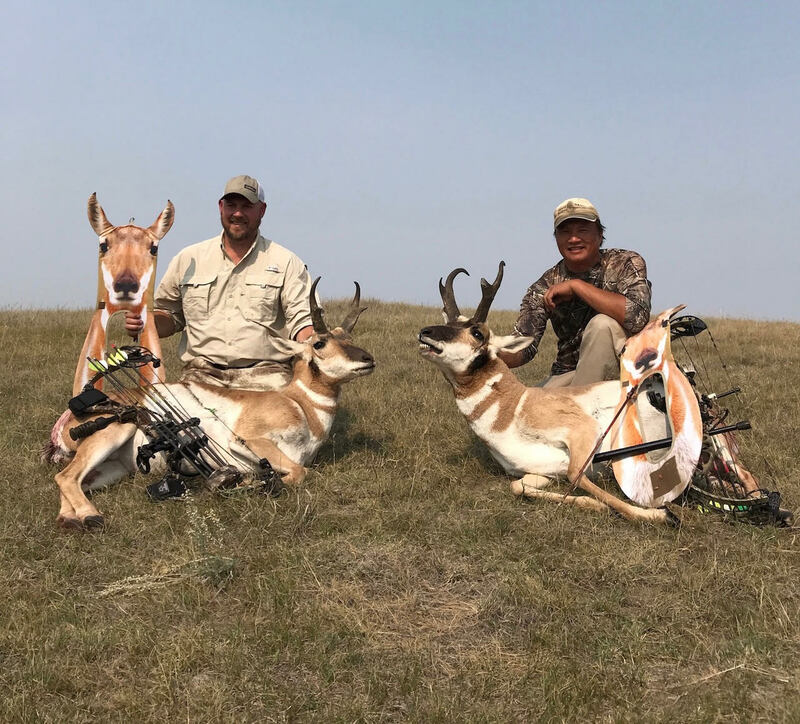 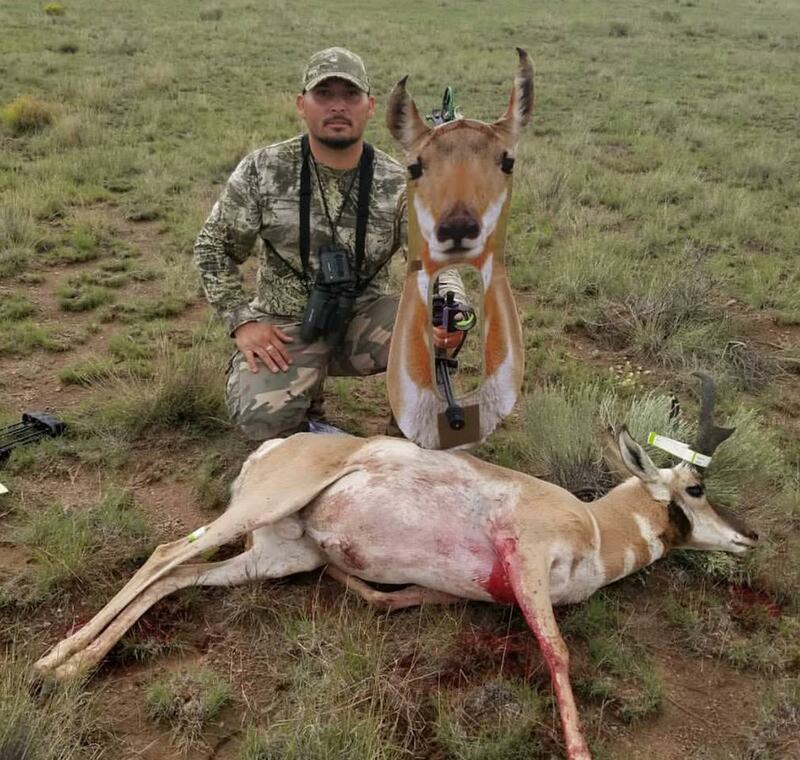 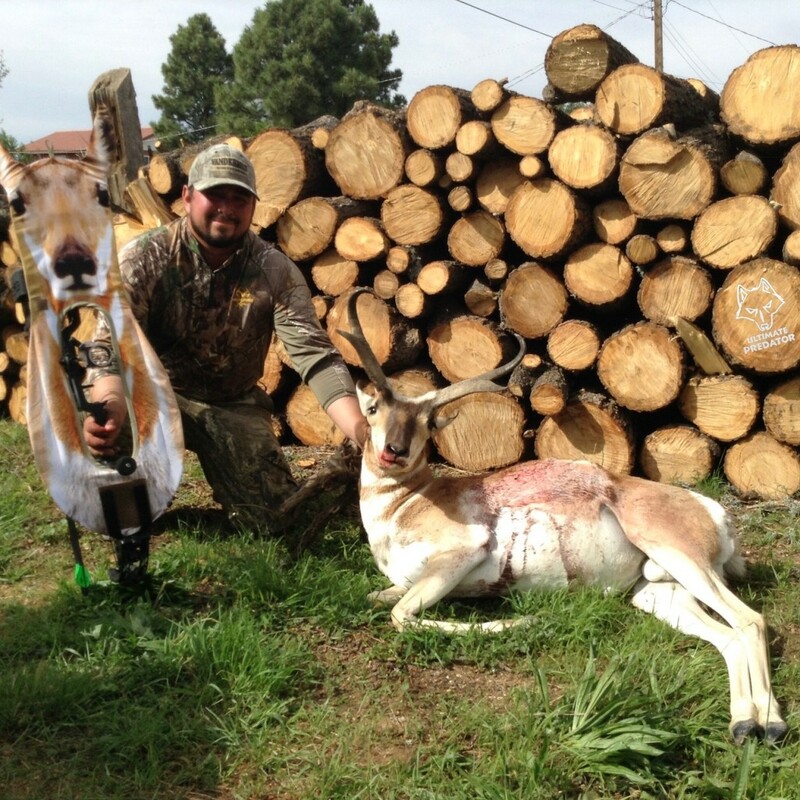 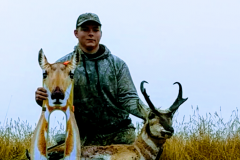 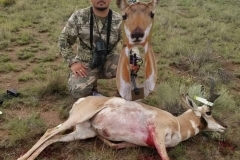 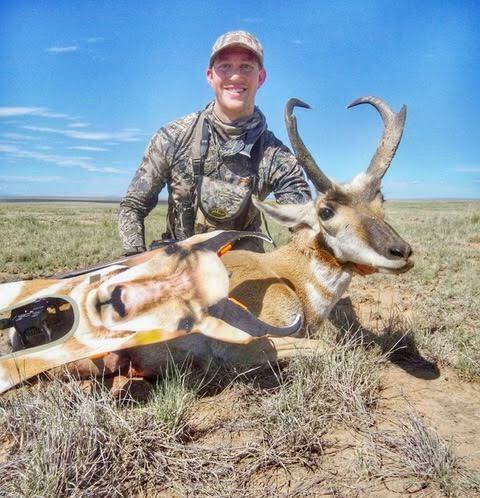 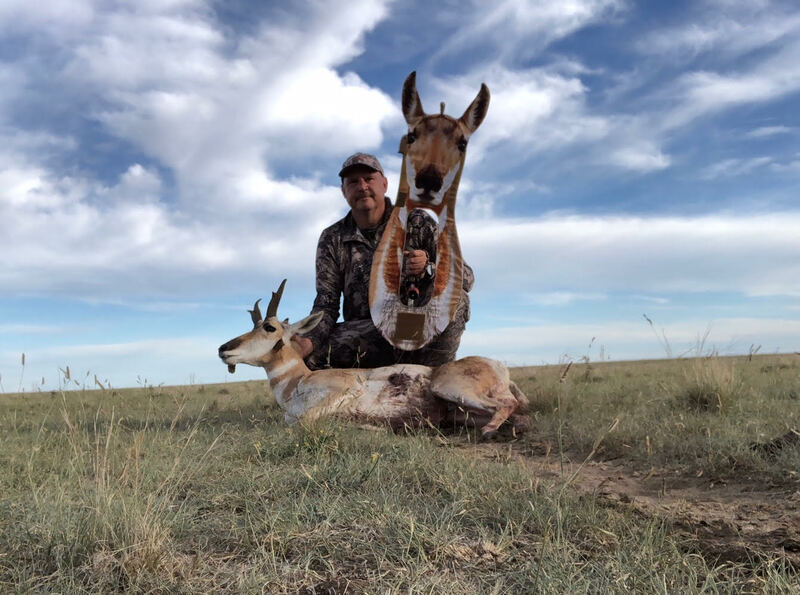 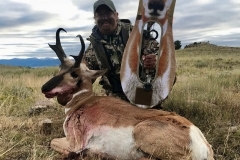 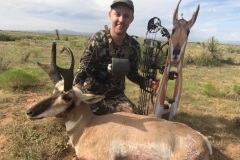 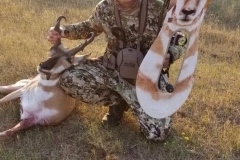 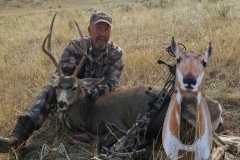 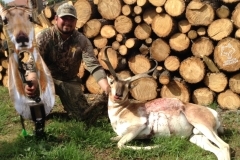 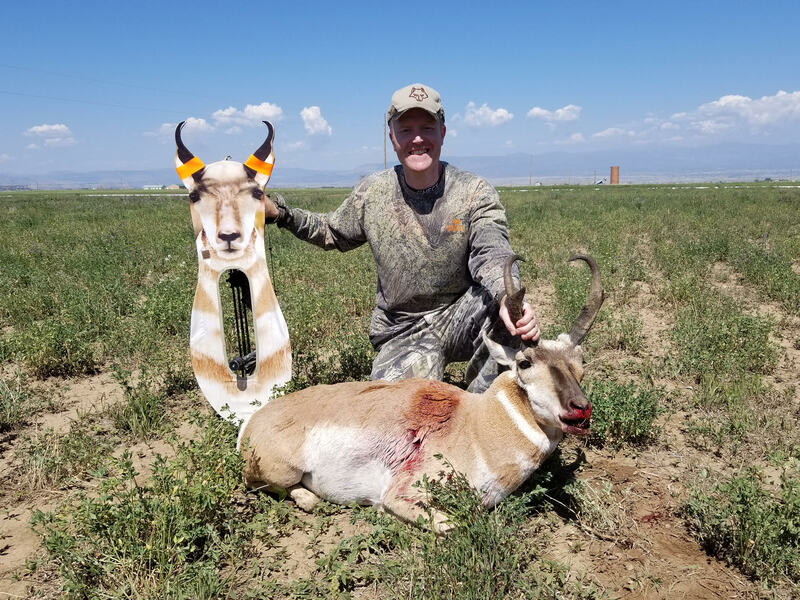 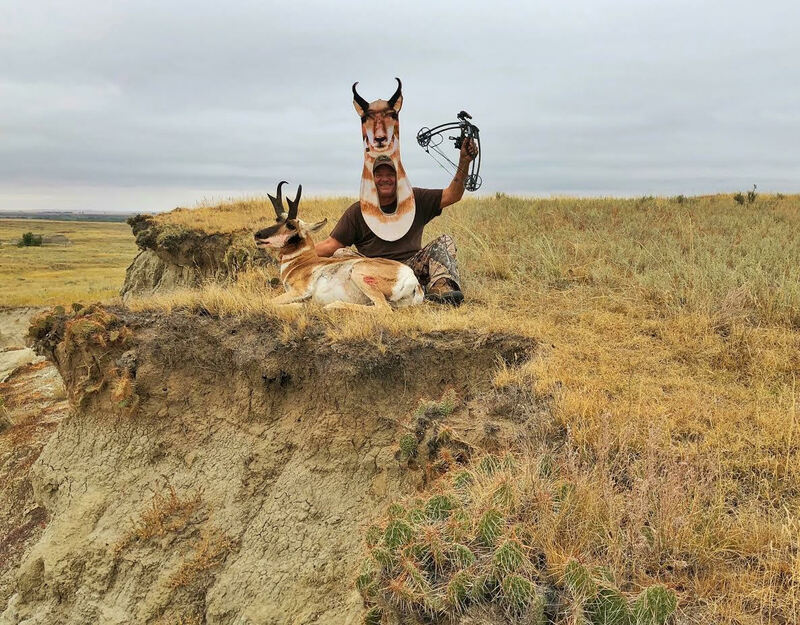 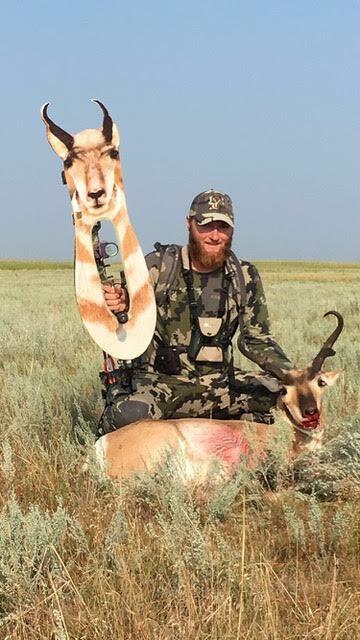 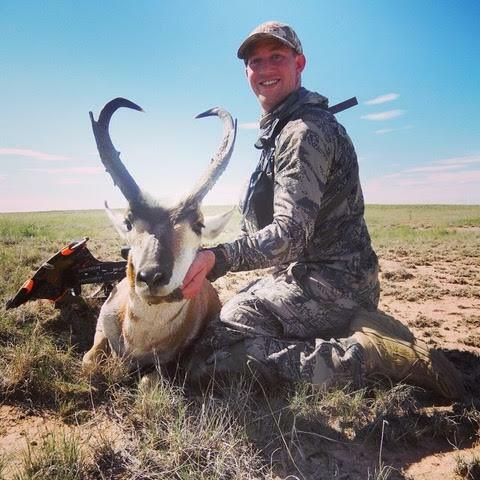 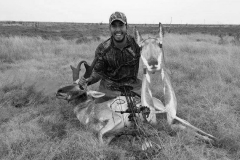 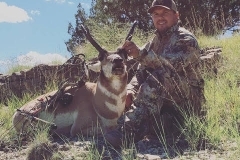 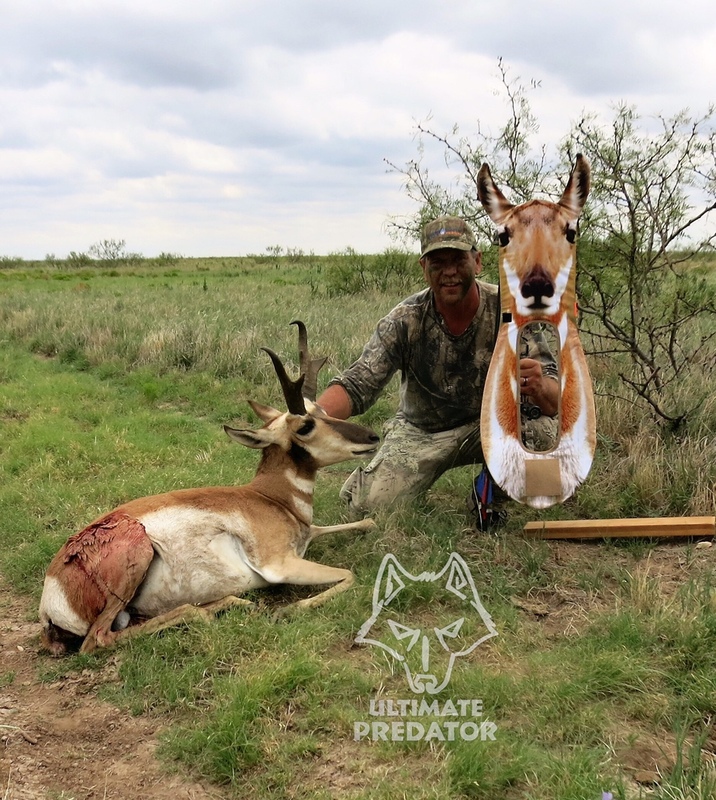 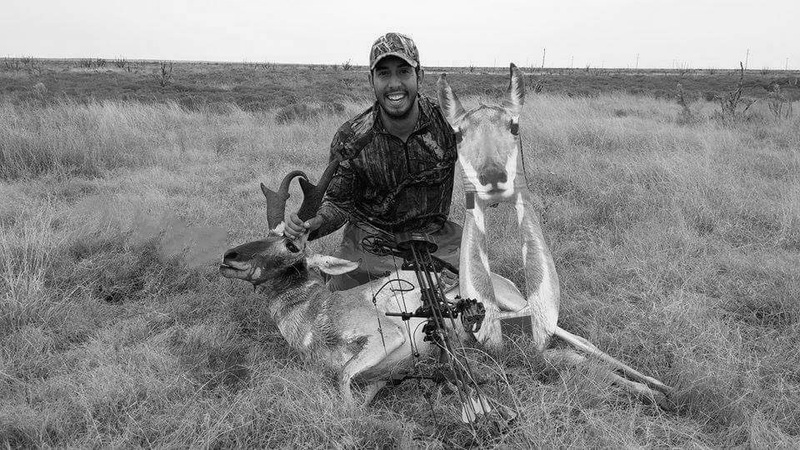 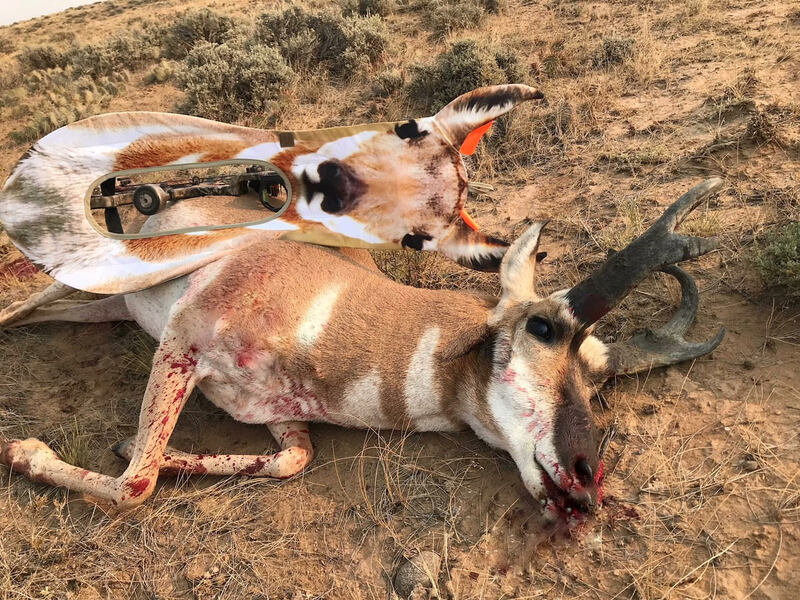 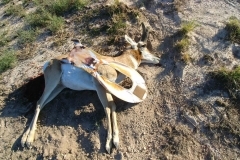 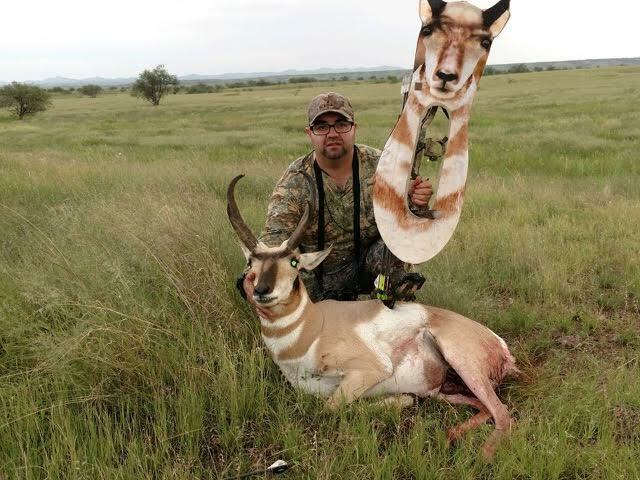 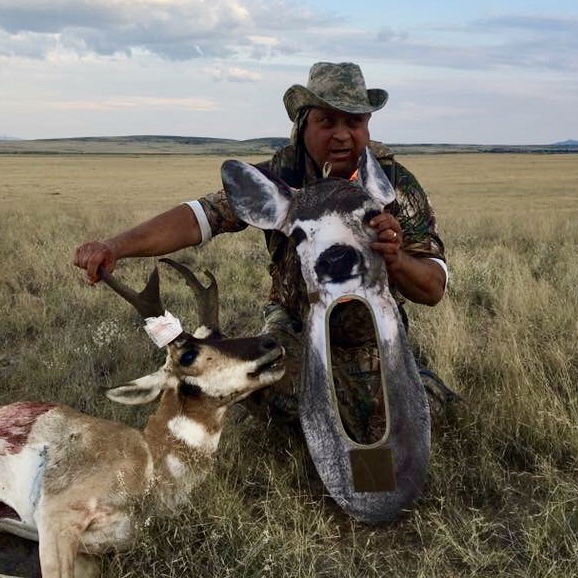 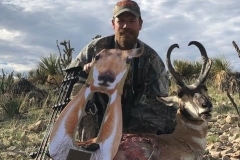 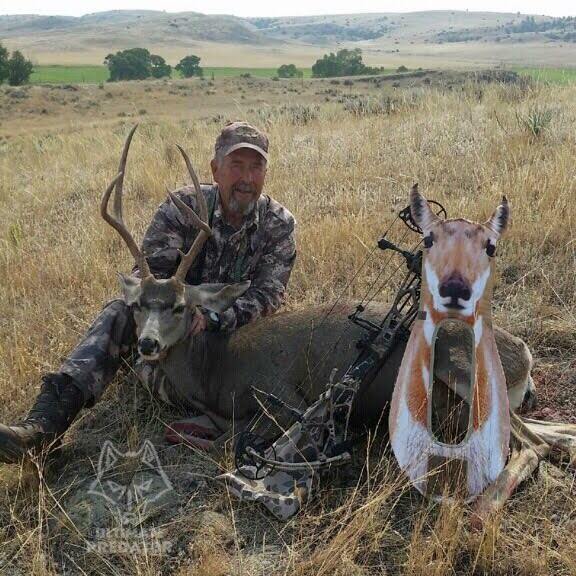 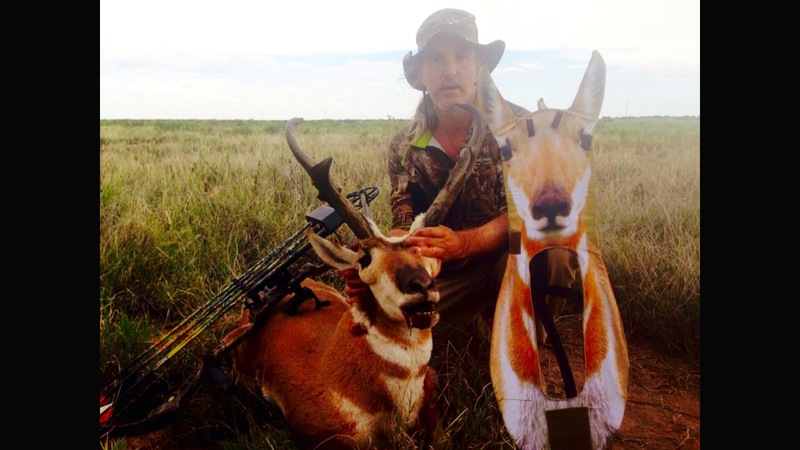 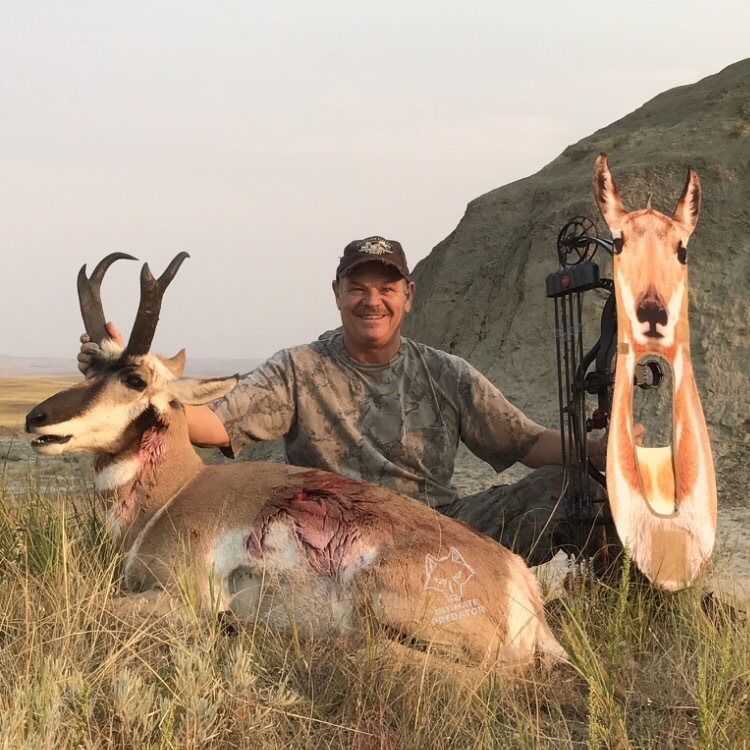 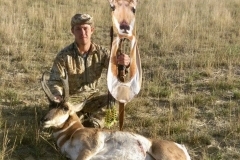 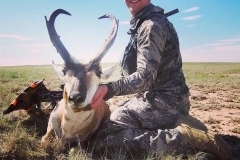 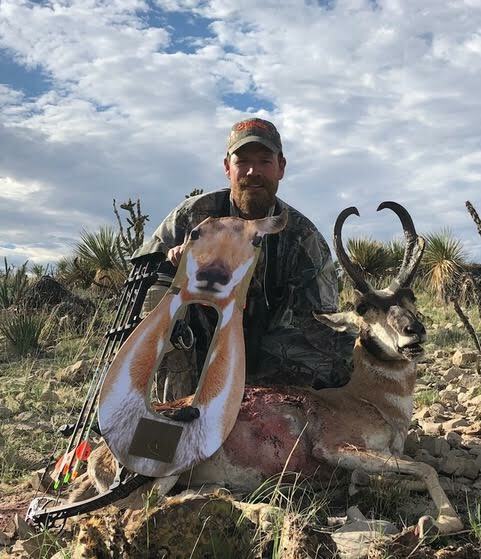 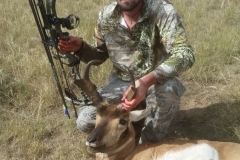 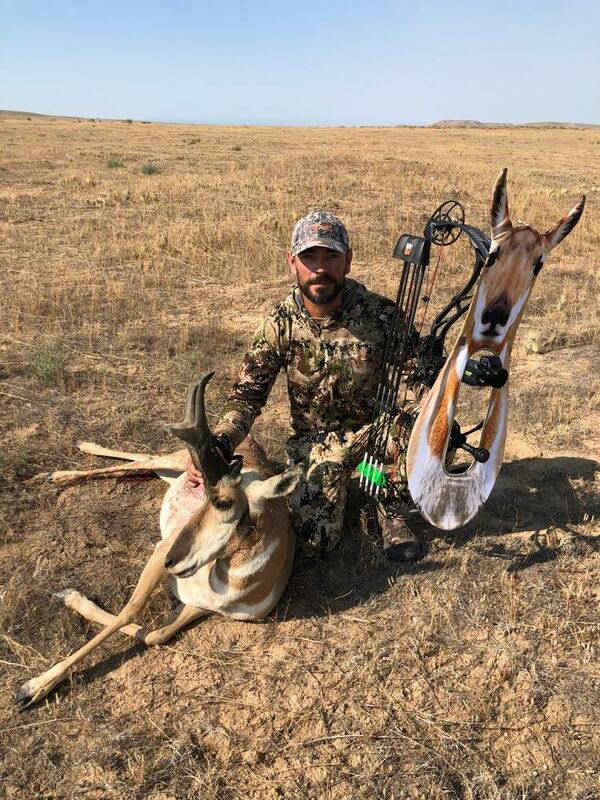 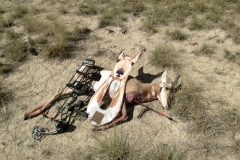 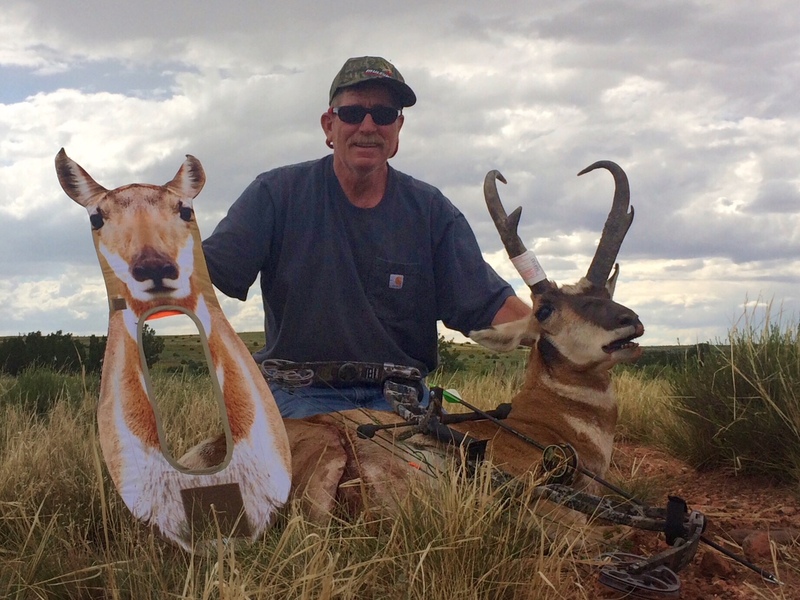 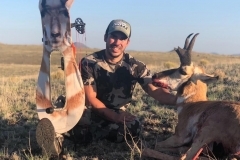 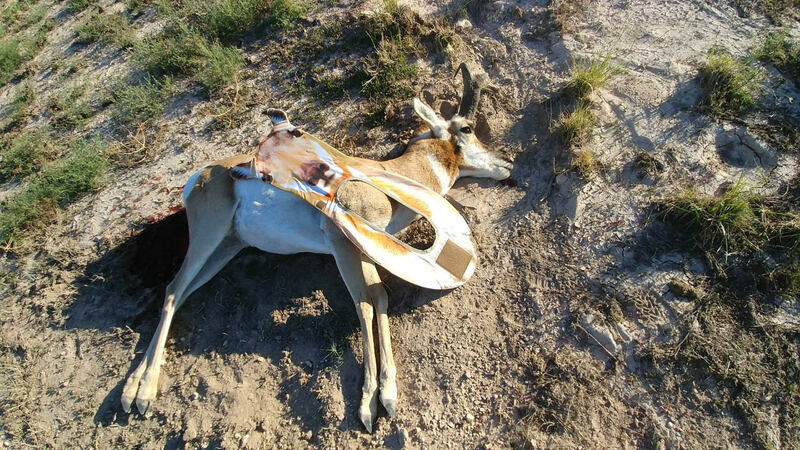 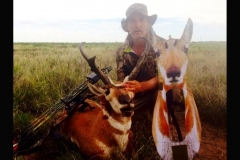 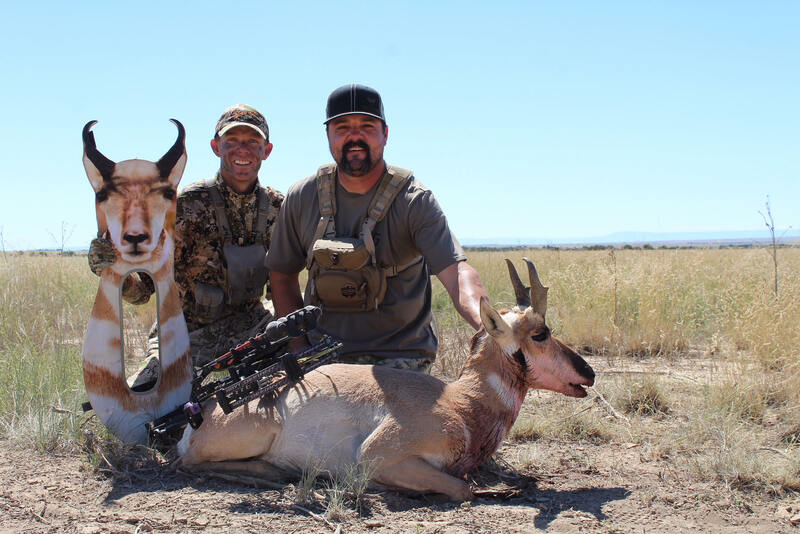 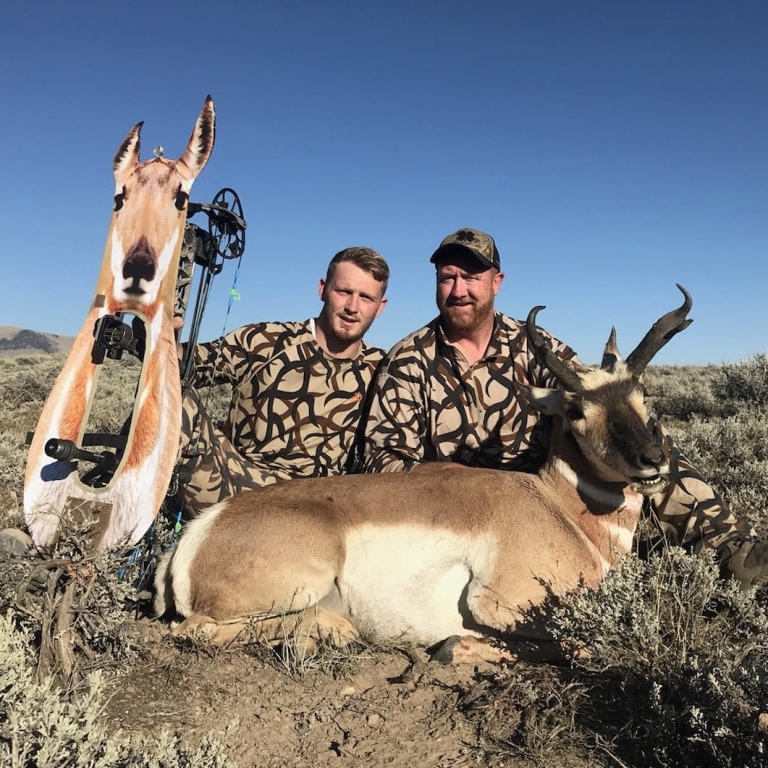 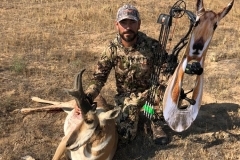 I harvested this awesome antelope at 60 yards after he almost ran me over causing me to drop my bow & decoy to expose myself. 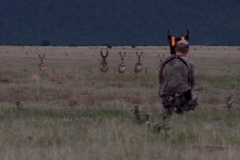 I then popped them right back up, and he came right back!